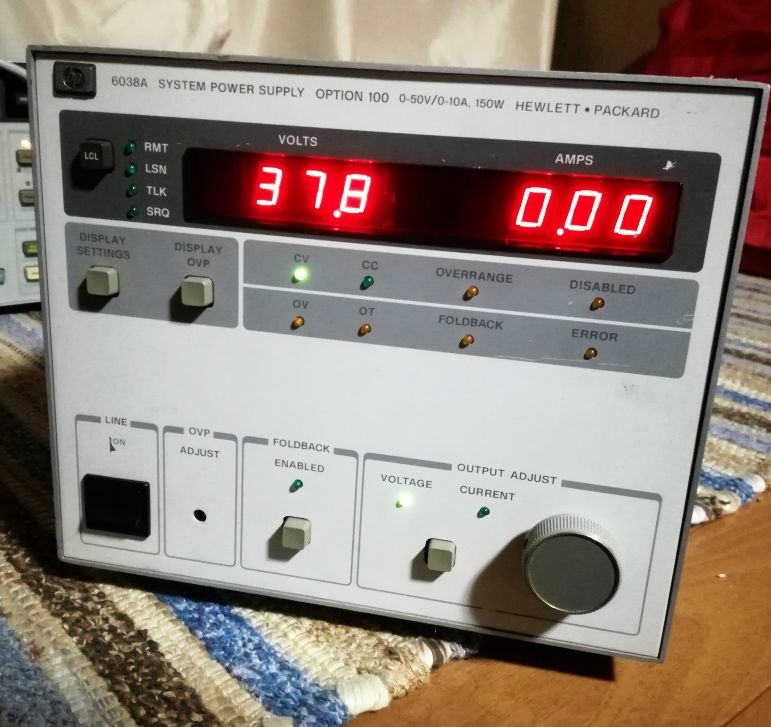 A quick look at a really nice piece of kit, a 100 V, precision regulated power supply, can be floated to +-240 V, and can provide 100 Watts of power, or sink power, about the same range. 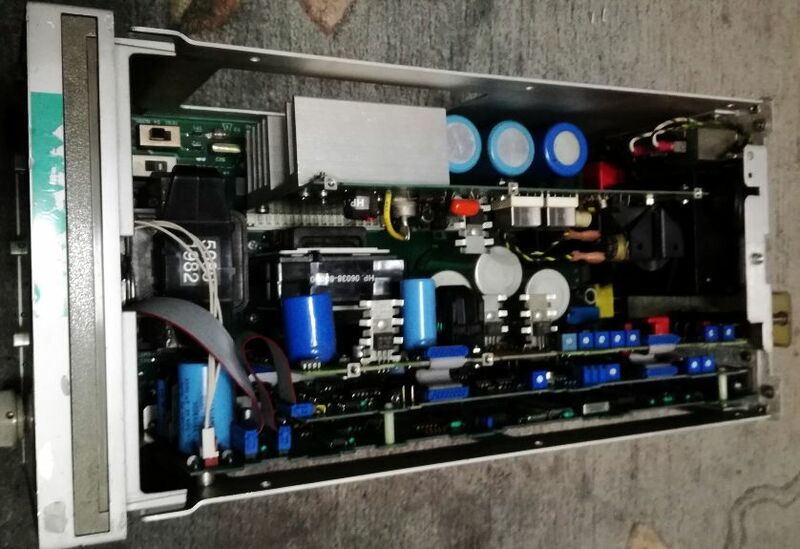 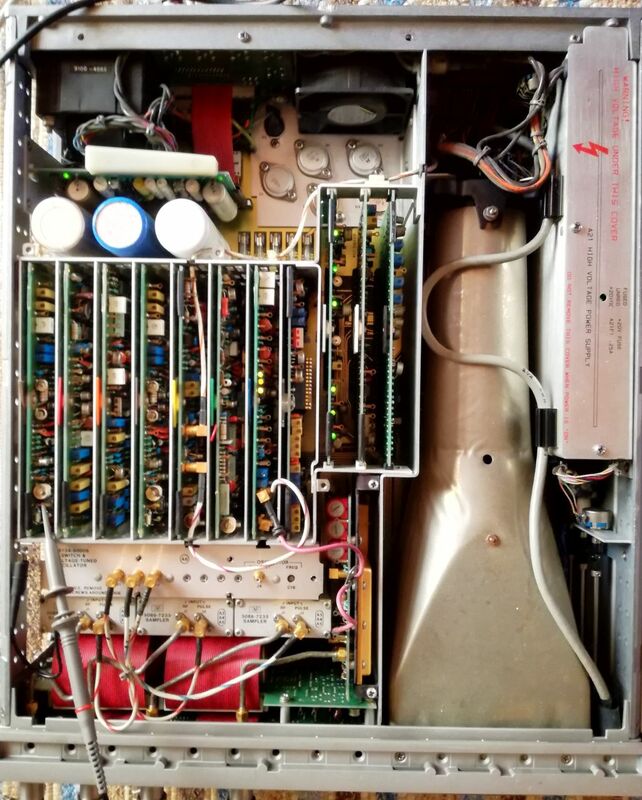 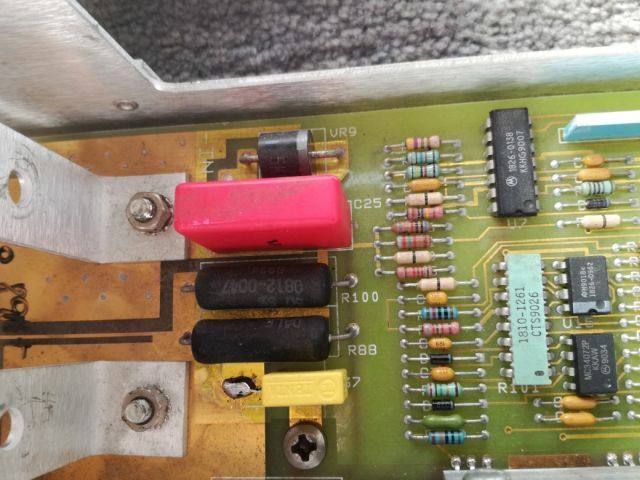 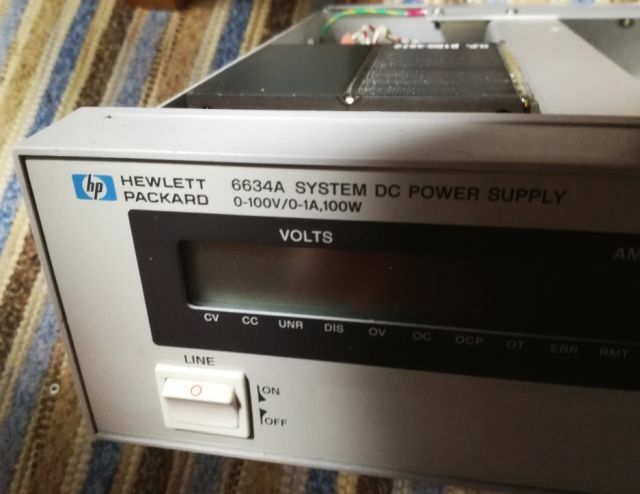 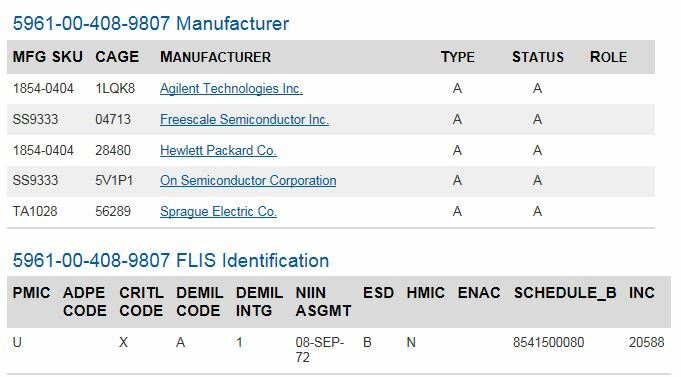 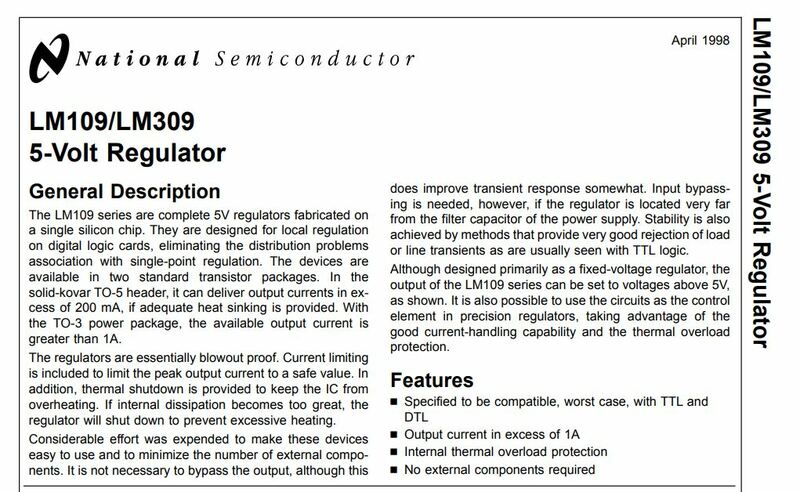 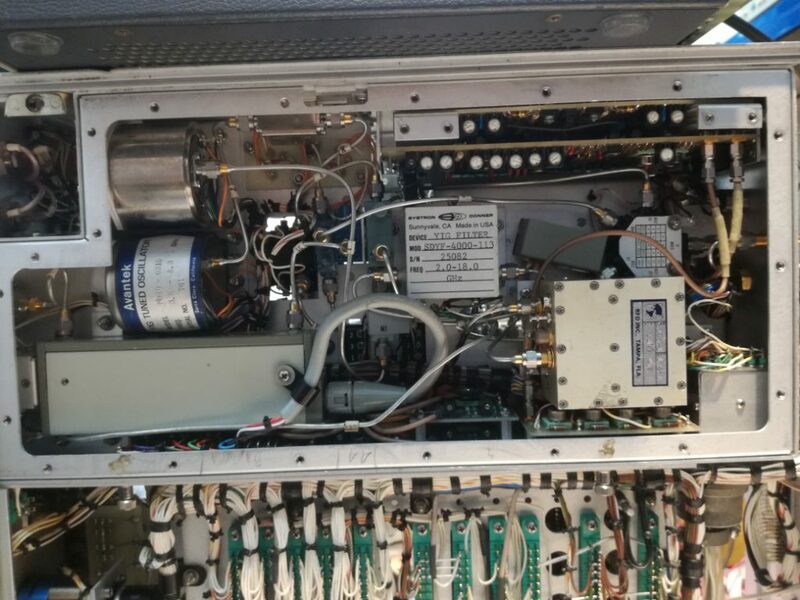 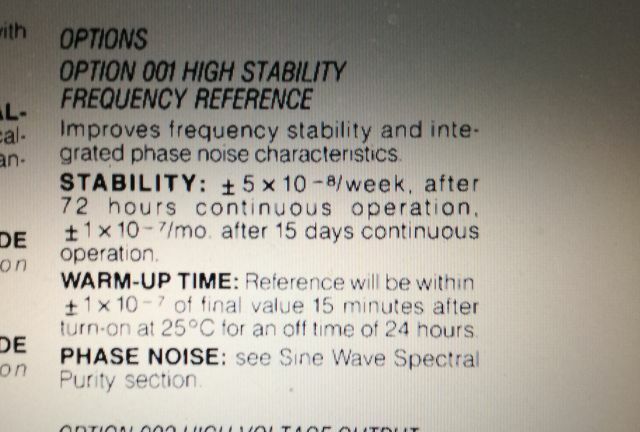 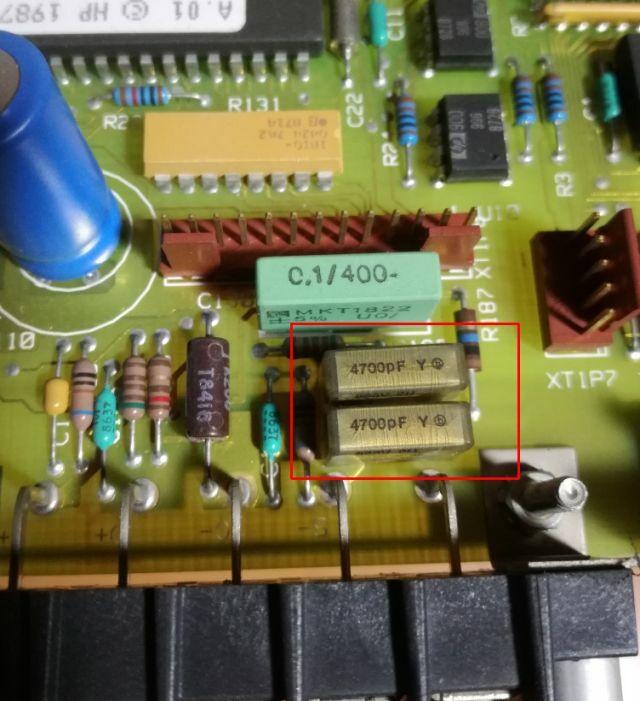 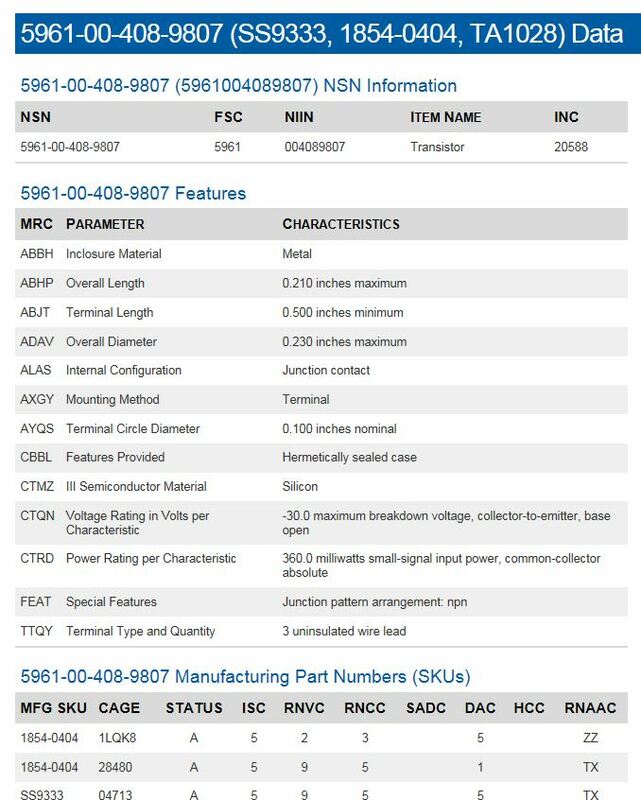 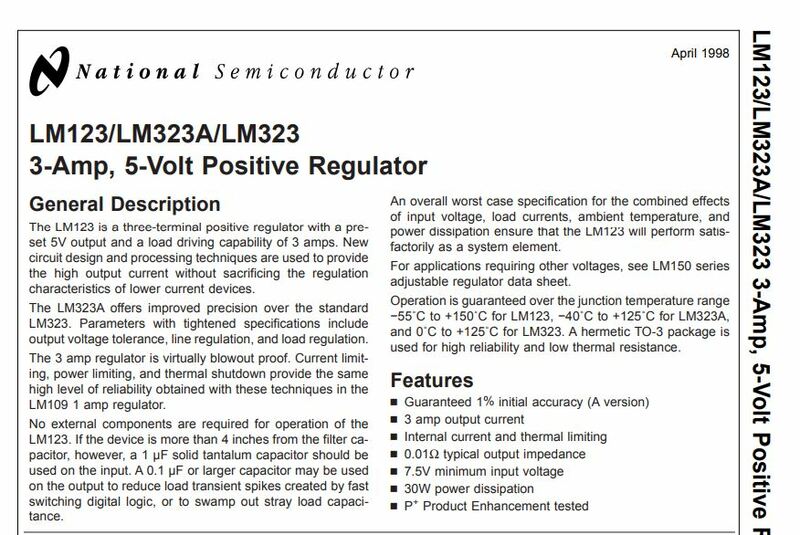 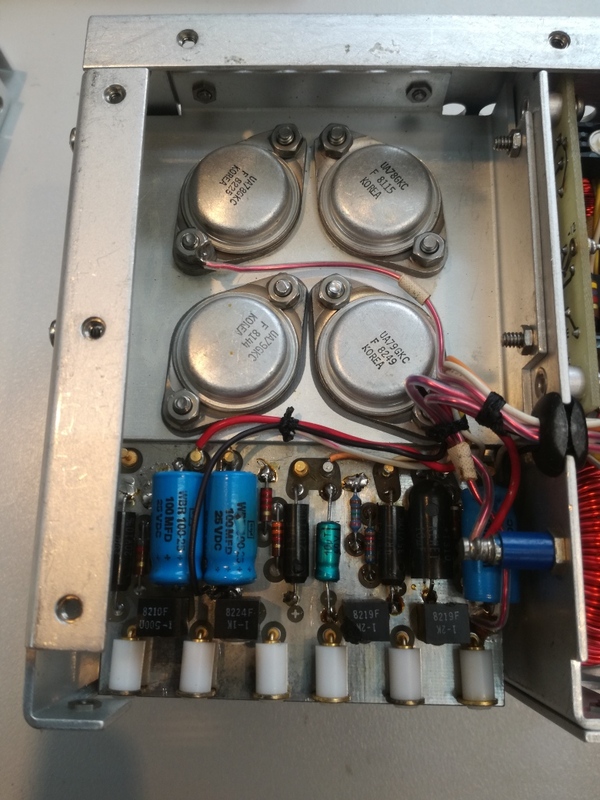 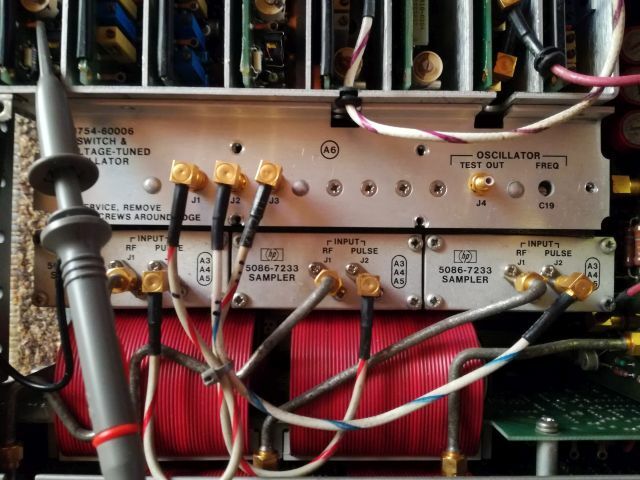 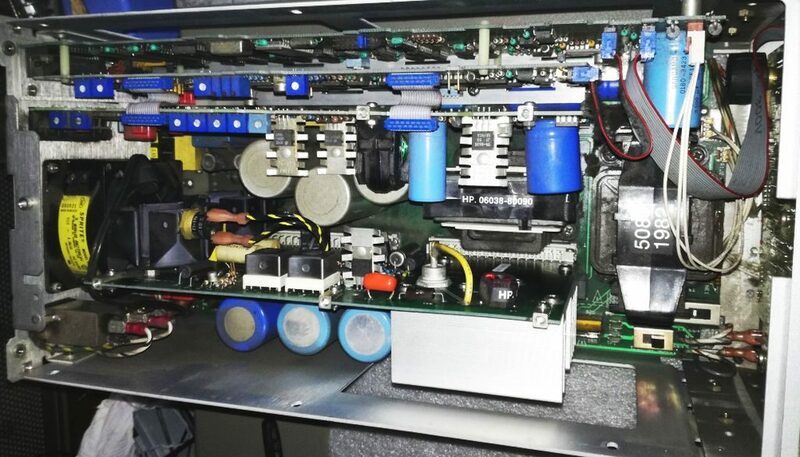 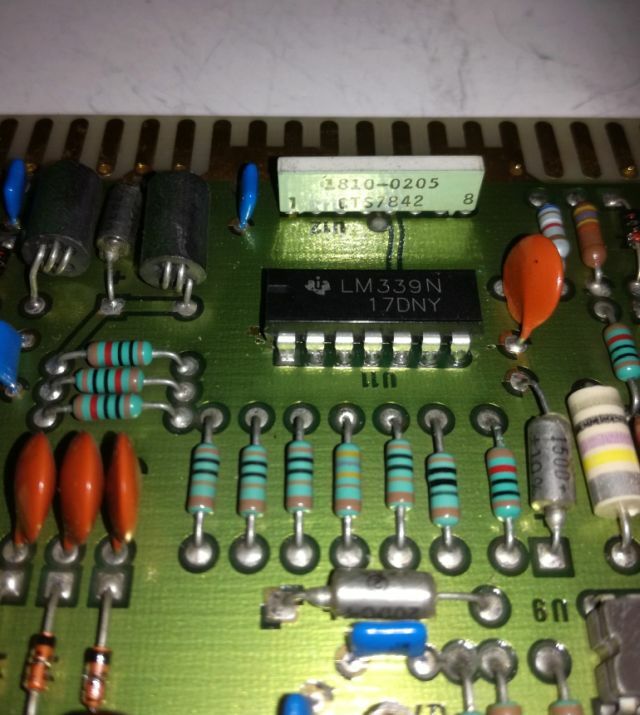 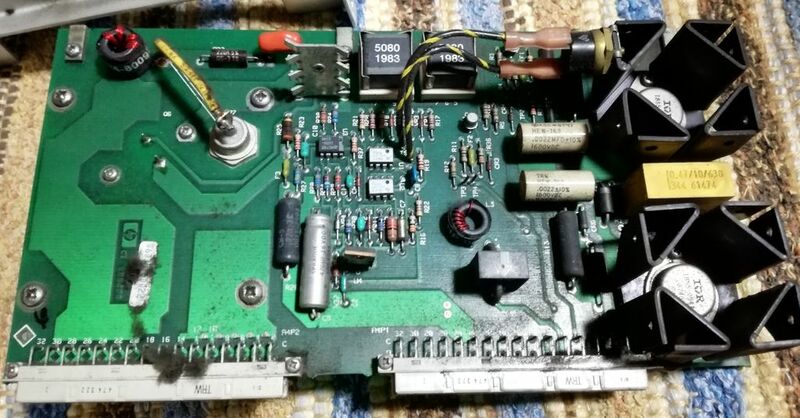 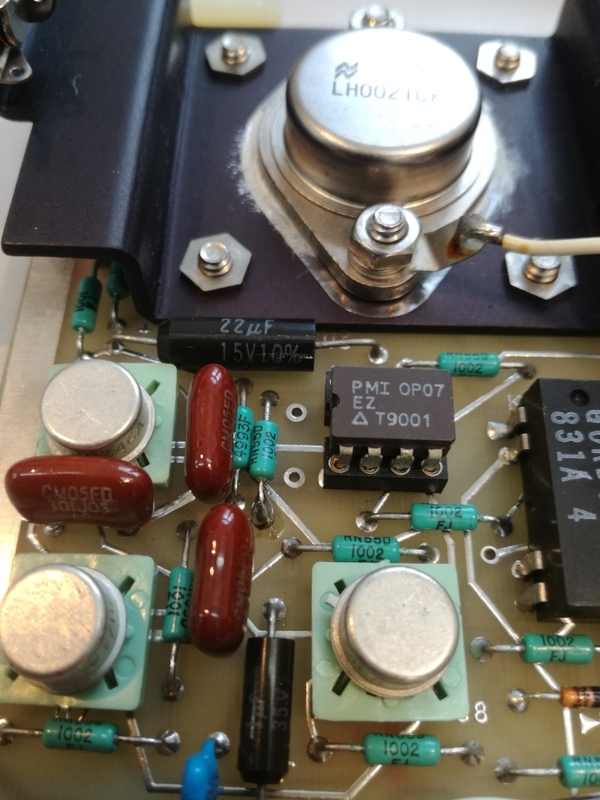 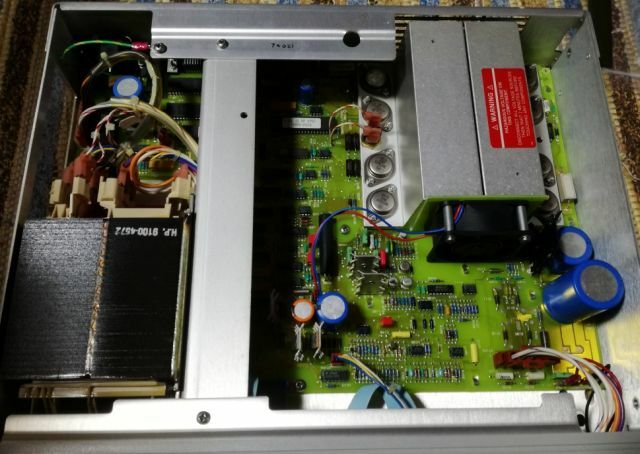 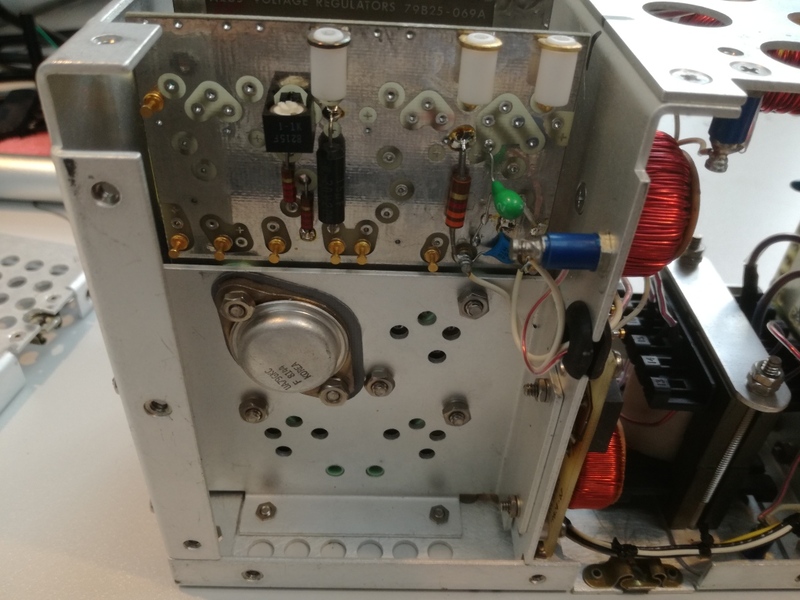 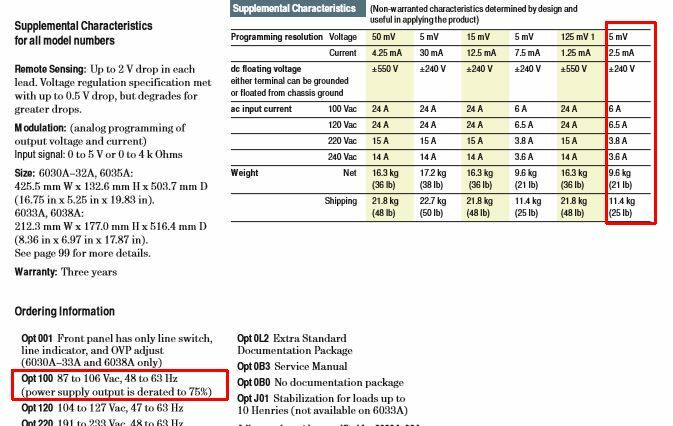 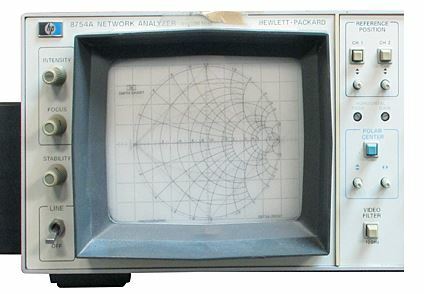 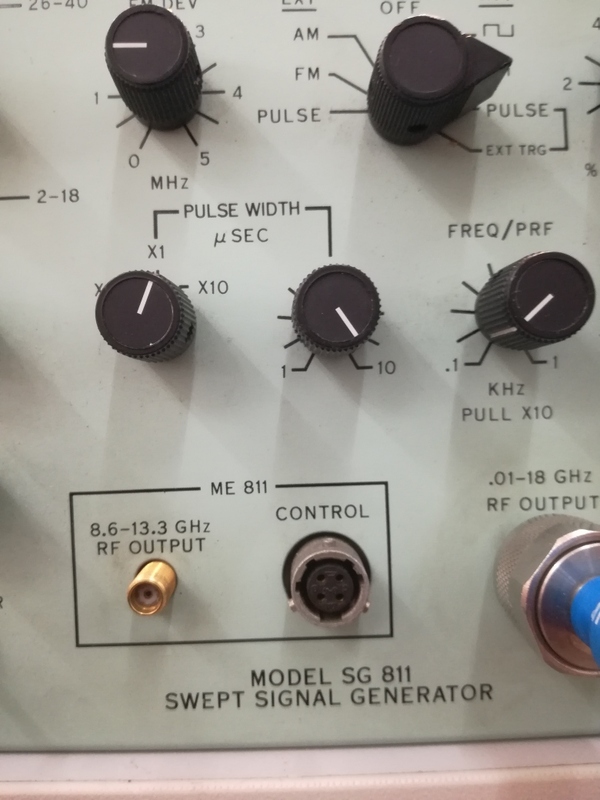 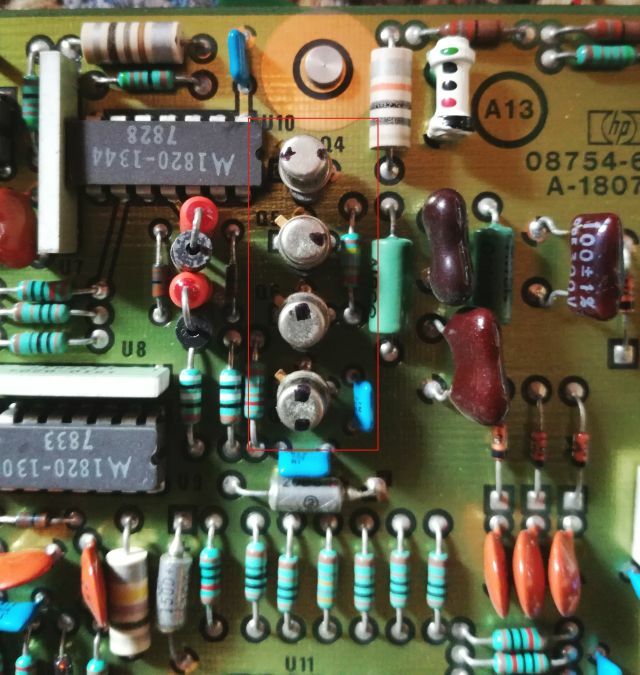 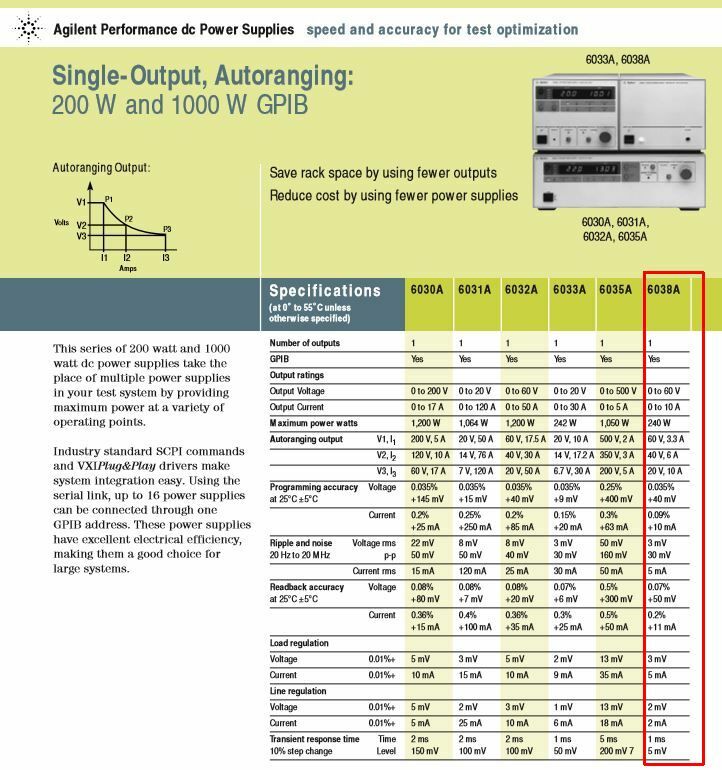 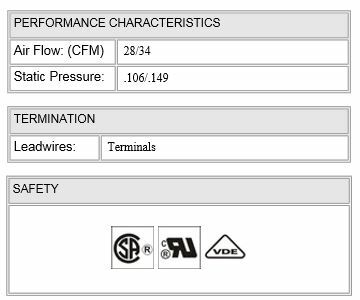 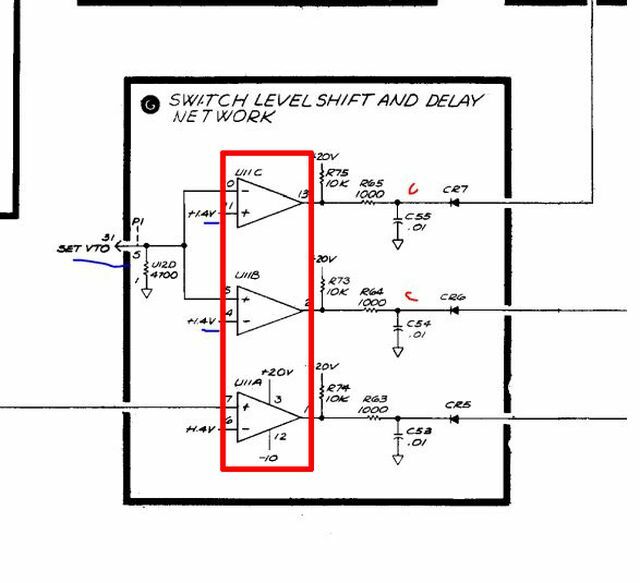 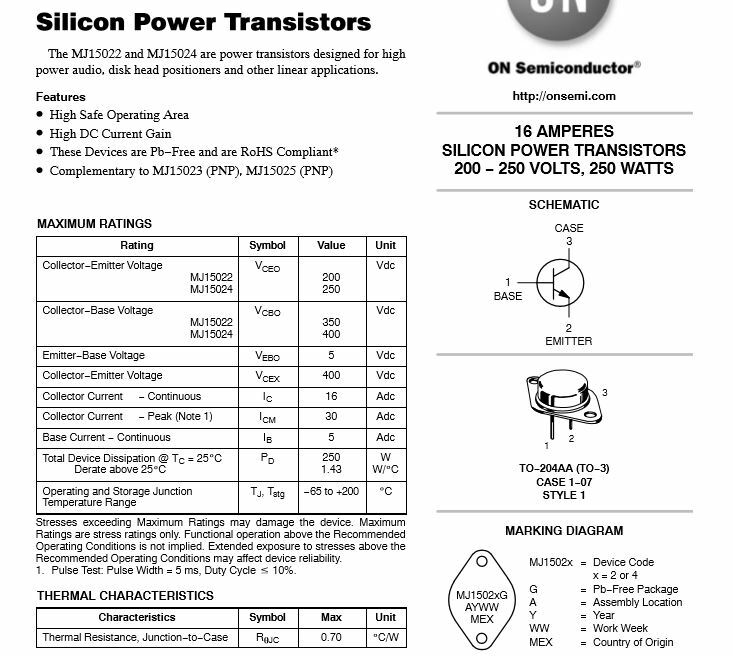 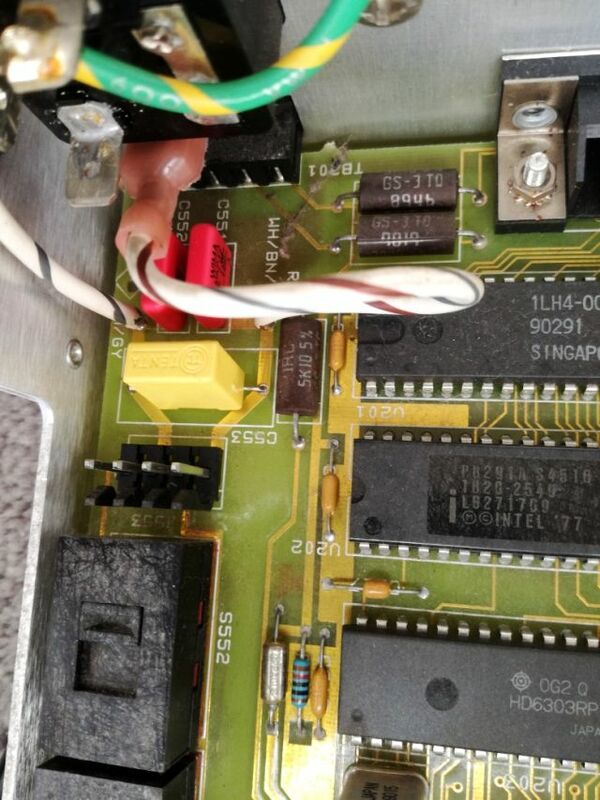 The front panel and handling is like any other HP system power supply from this era, and there are models 6632A (20 Volts) and 6633A (50 Volts) that share virtually the same control circuit. 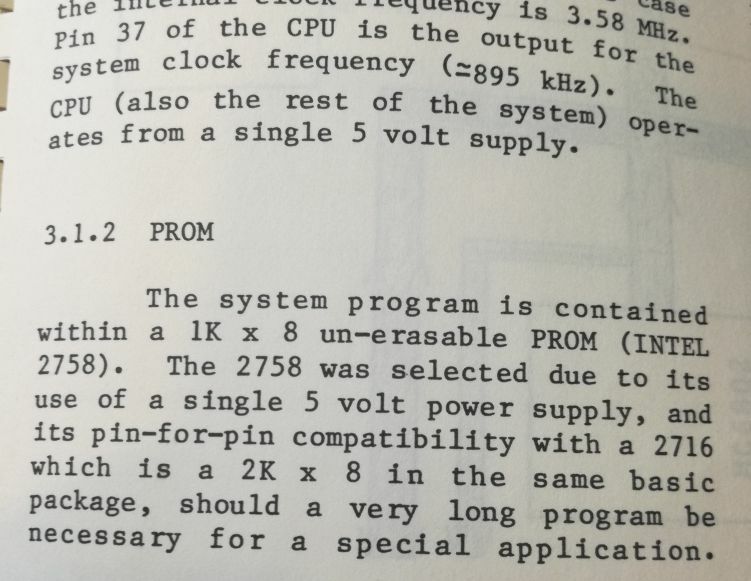 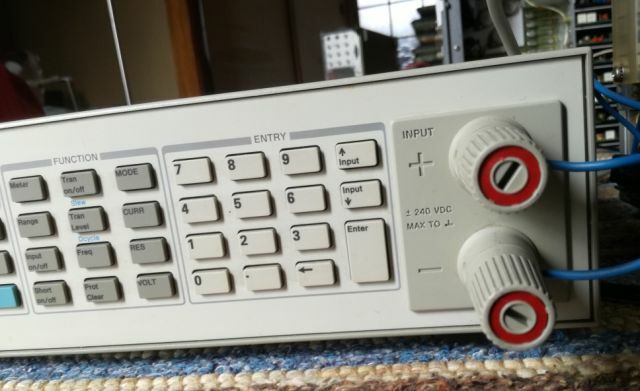 All is GPIB controlled, of course, and this unit has front and read outputs. 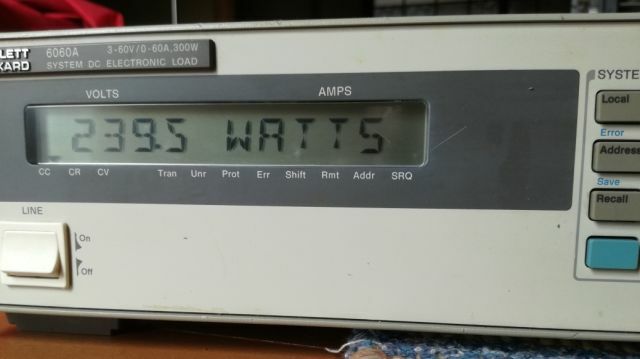 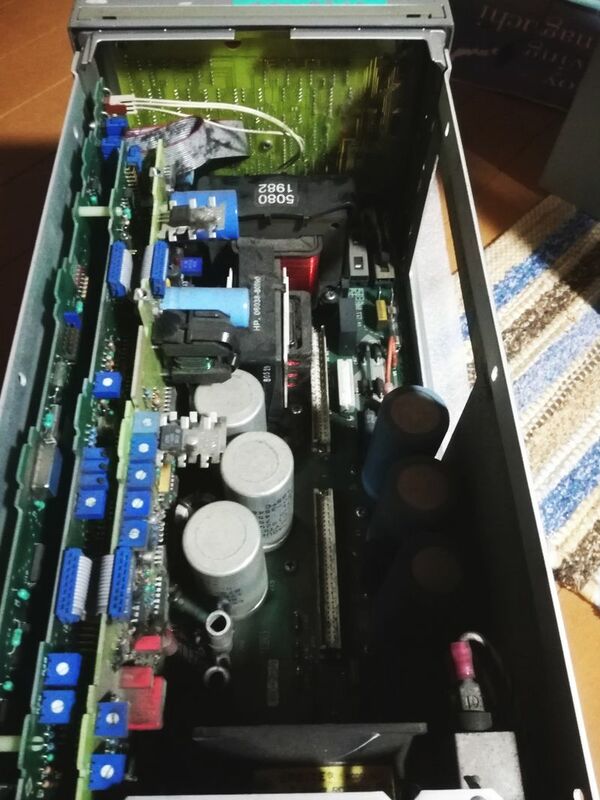 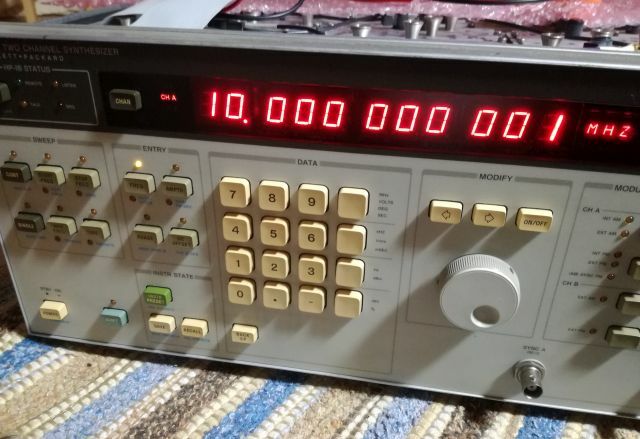 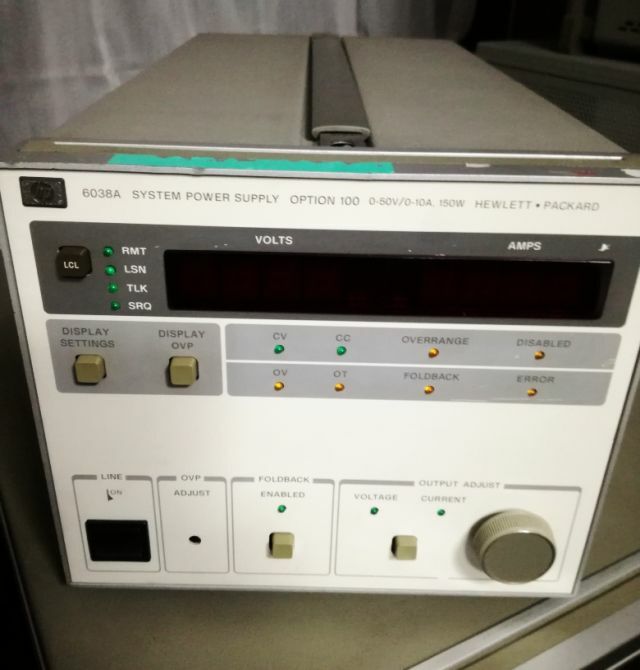 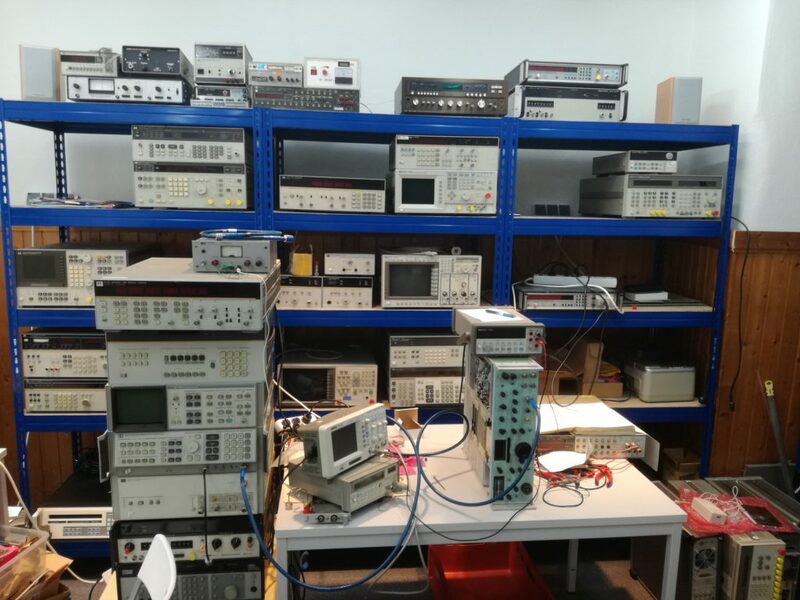 I am going to use it for a capacitor tester (to study the voltage bias effect and hysteresis of ceramic capacitor materials), so I need a fairly reliable unit because it will run unattended for a while. 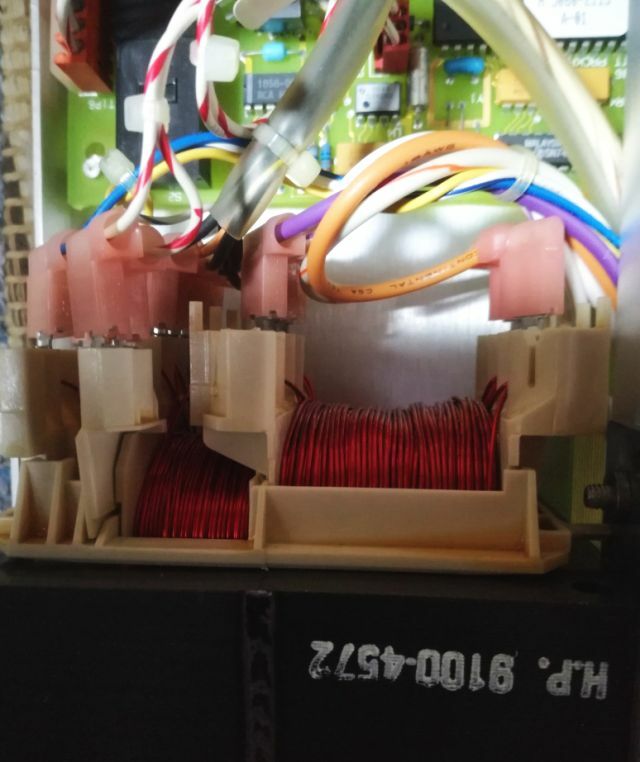 The transformer, it is the highest standard and insulation I have ever seen. 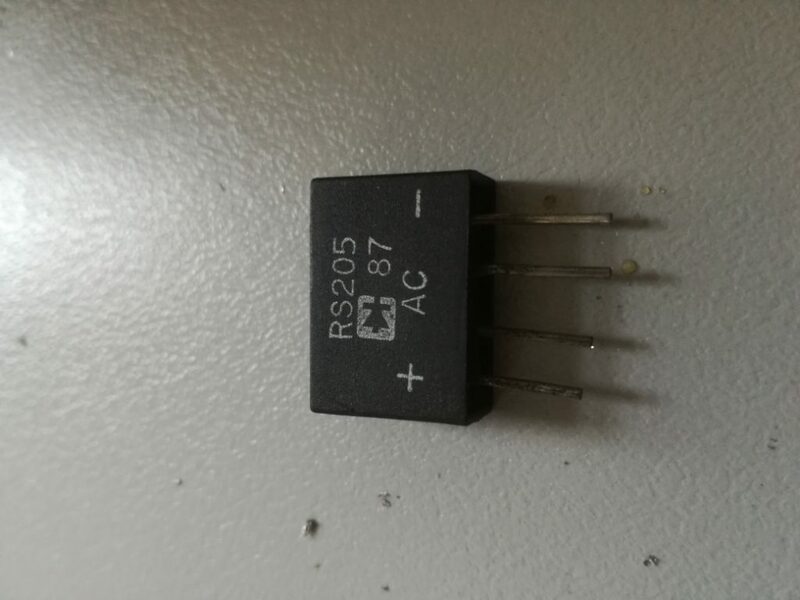 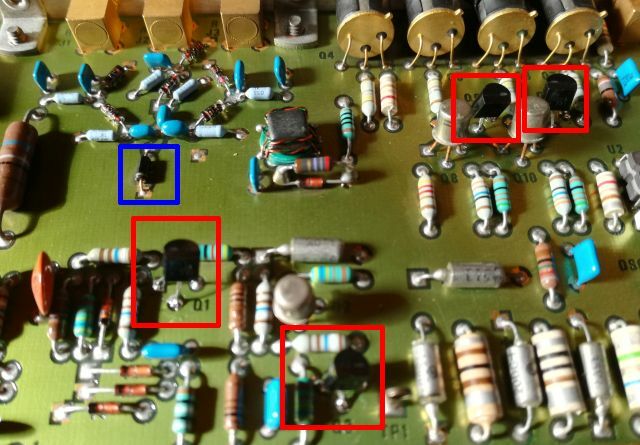 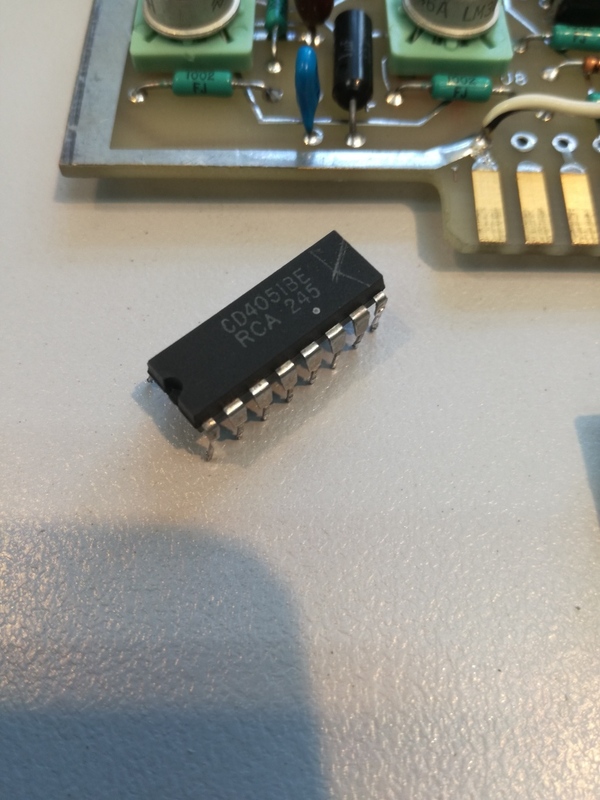 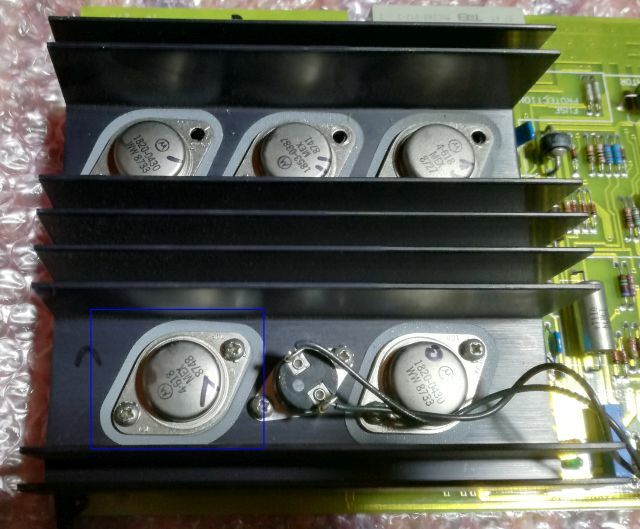 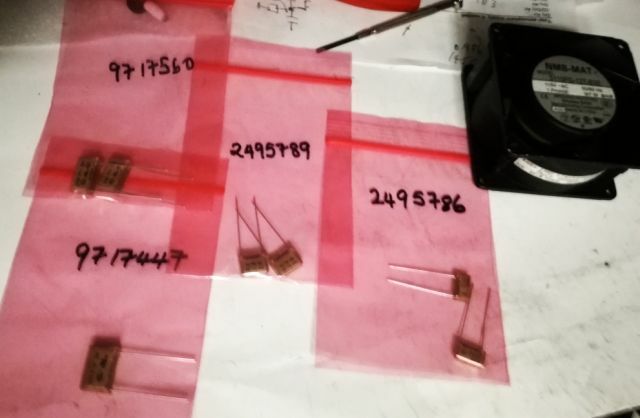 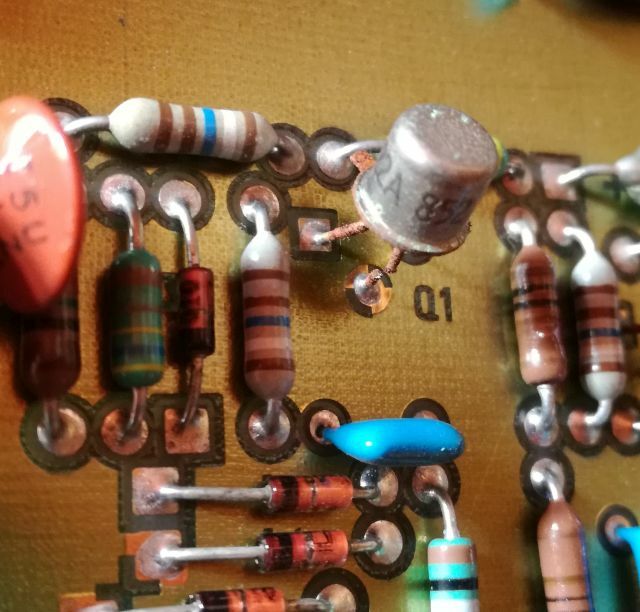 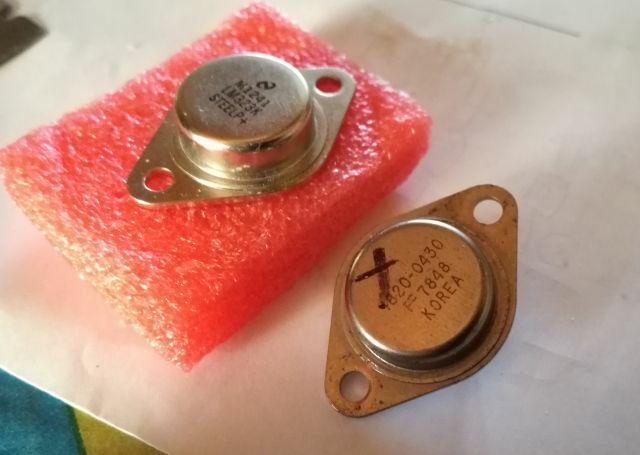 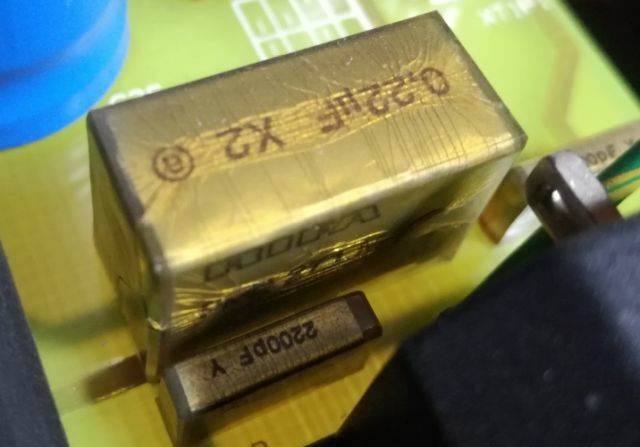 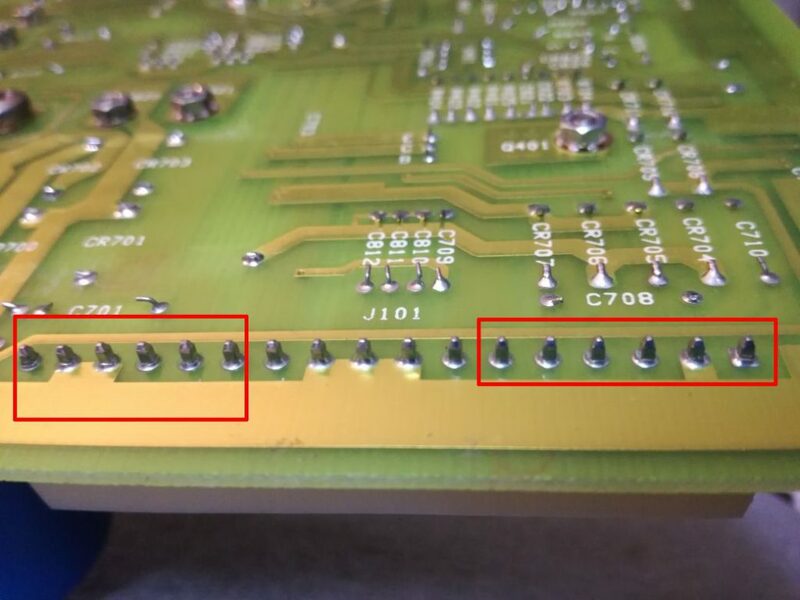 There are 8 power transistor, in a really massive output stage (4 complementary pairs, 2 each on each heatsink-the heatsink is sub-divided in two sections), each of them capable of handling 250 Watts of dissipation. 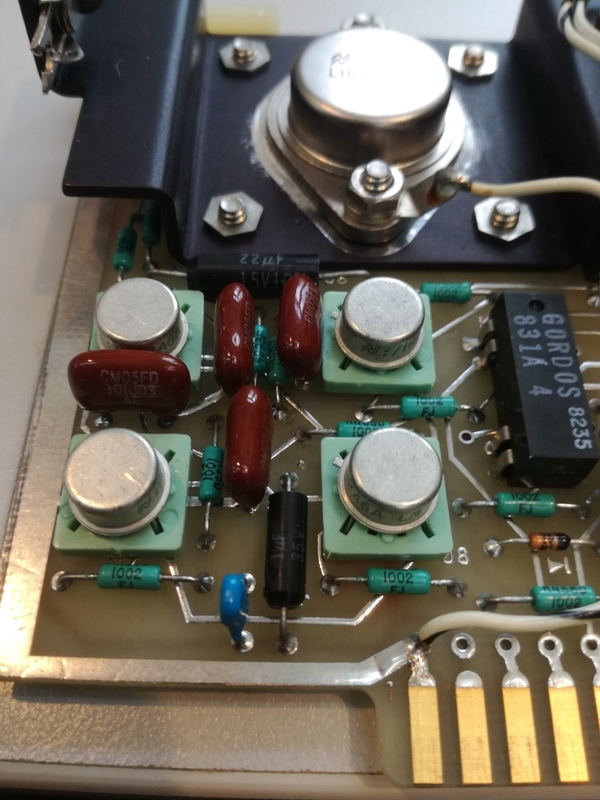 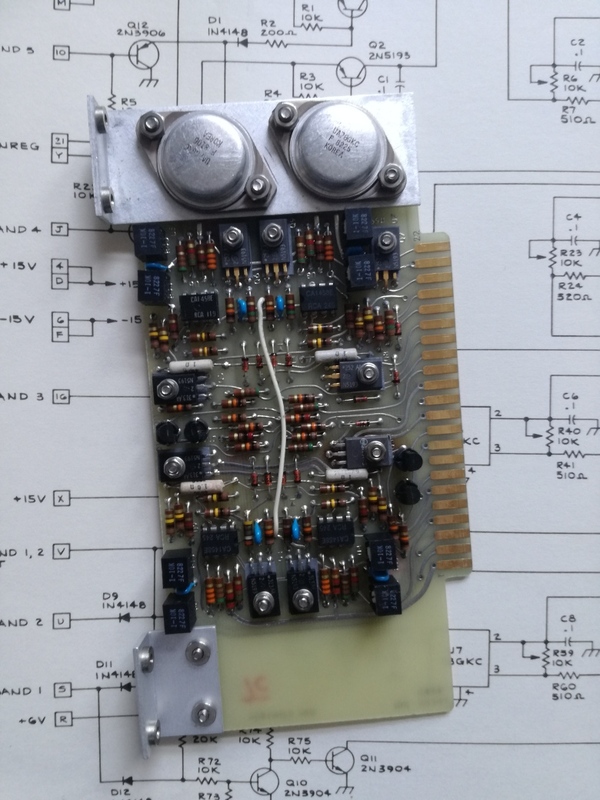 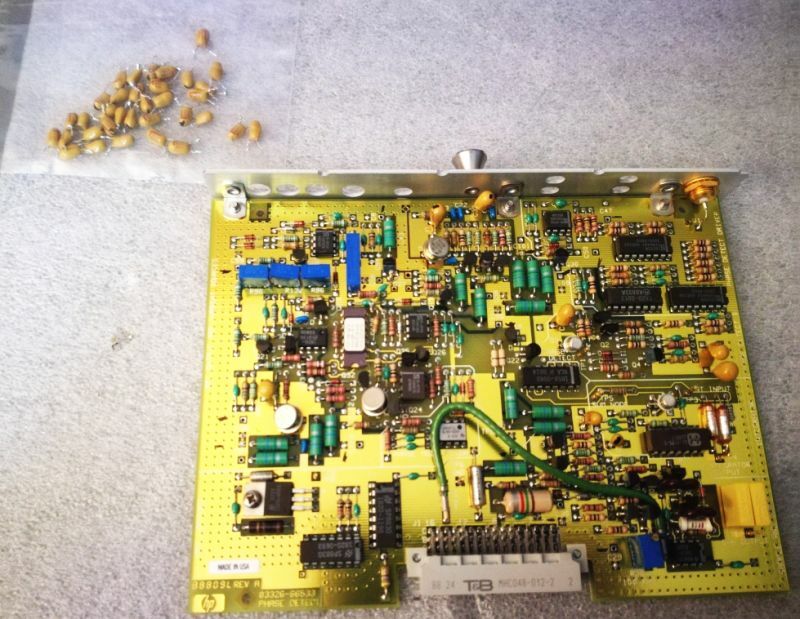 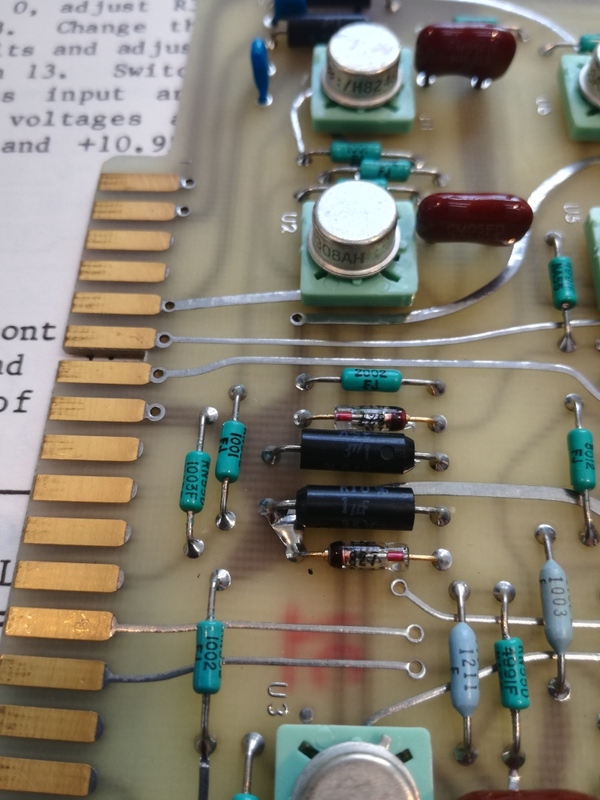 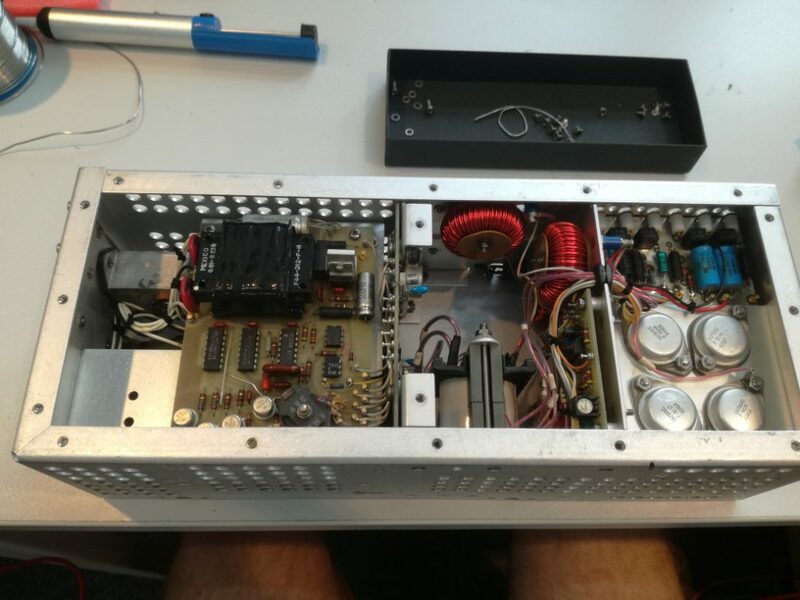 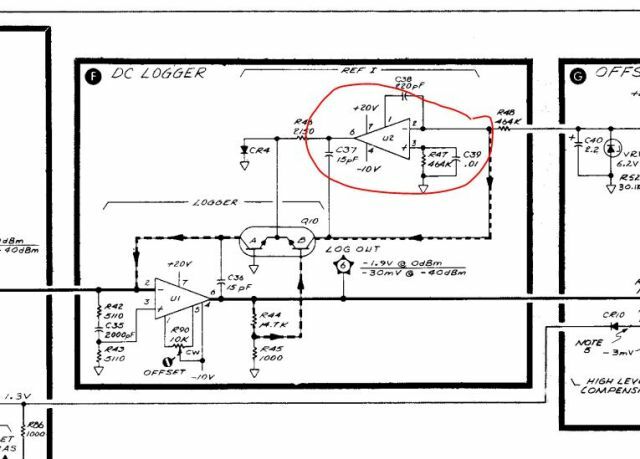 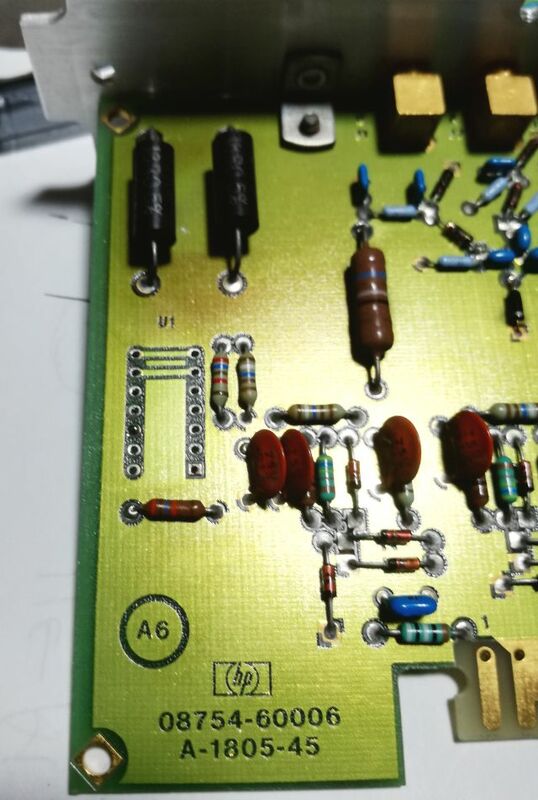 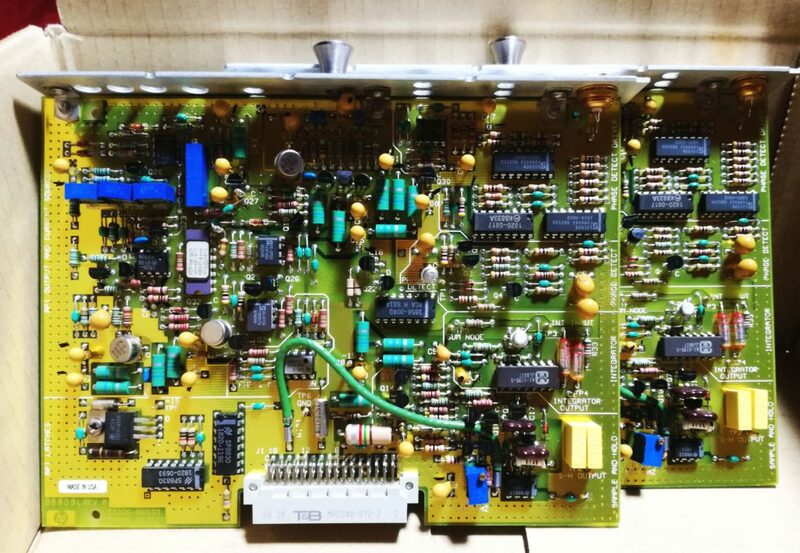 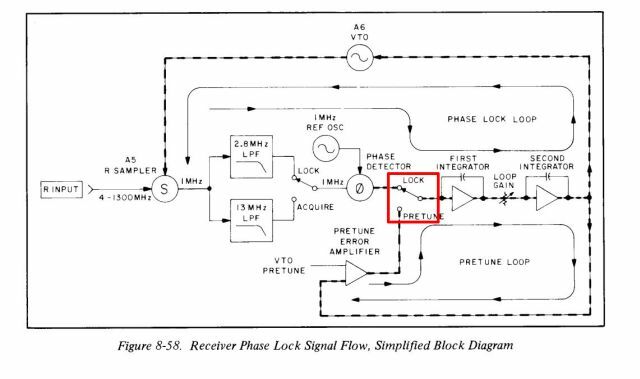 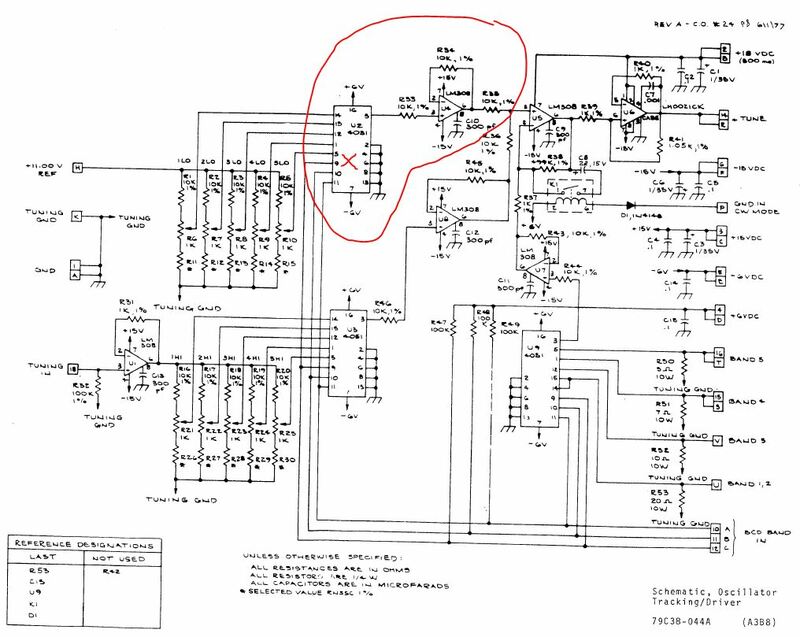 The output stage, it is a really generous design, considering that this is a 1 Amp supply (most designers would handle it with two transistors). 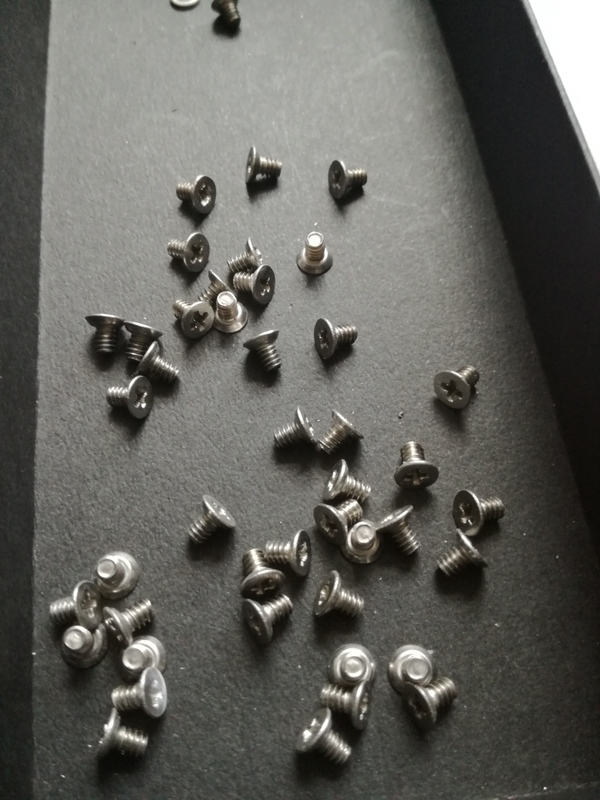 The only thing I don’t like about the unit, the RIFA X and Y rated caps. 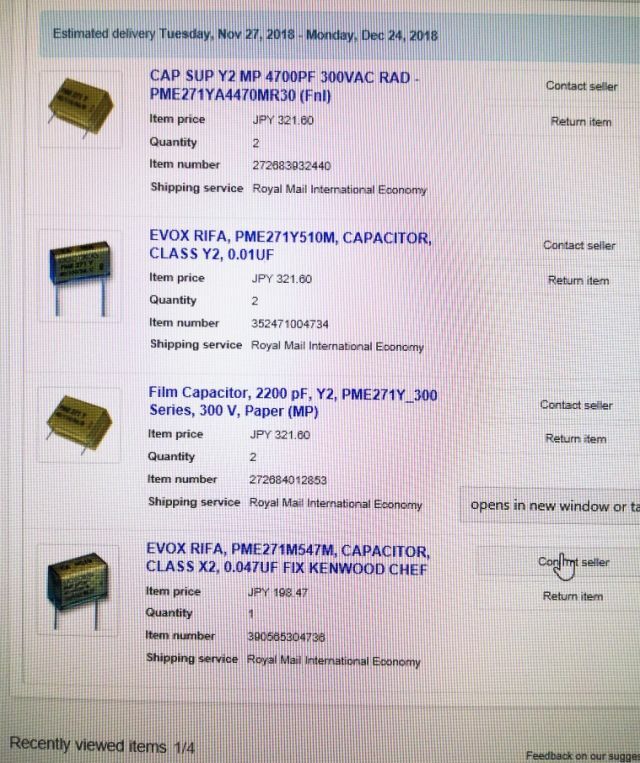 These are all cracked (still not shorted, but I don’t want to take a chance). 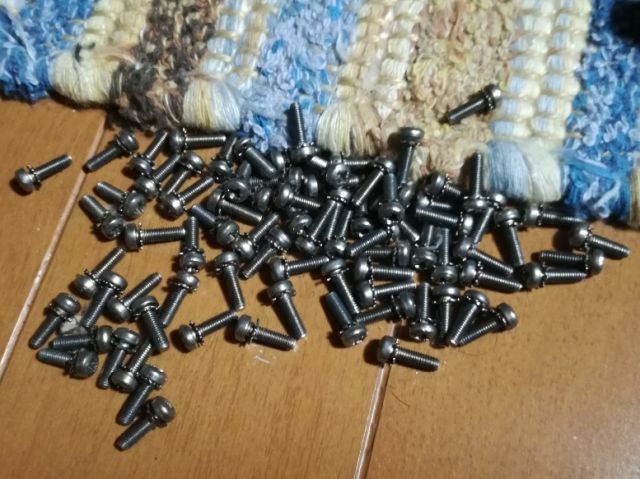 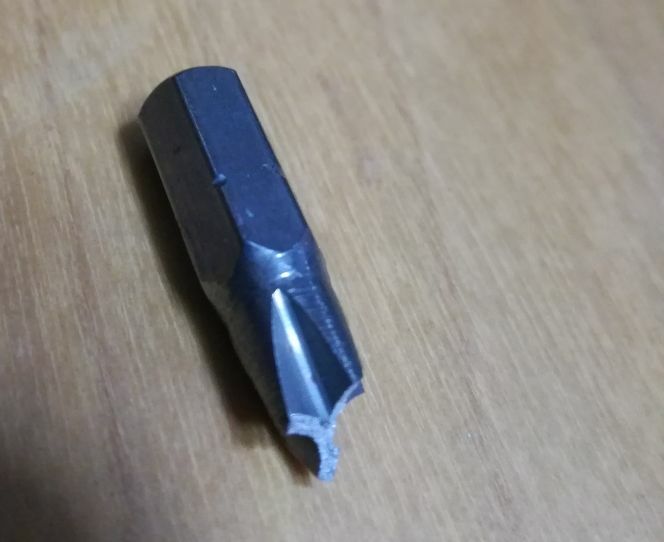 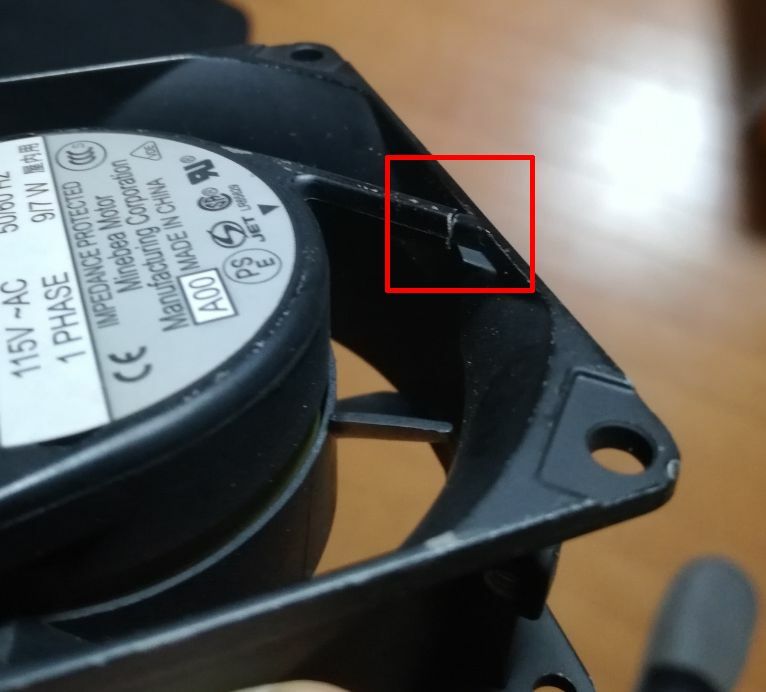 So these will need to be replaced. 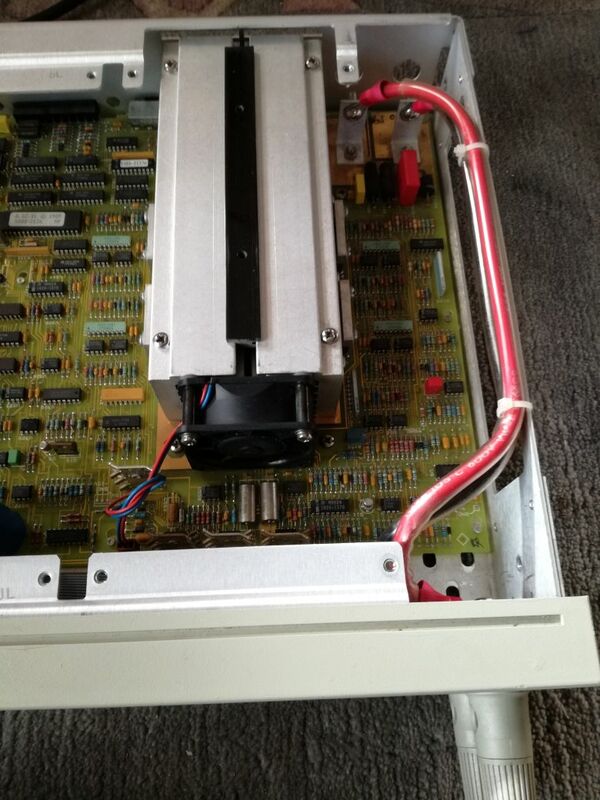 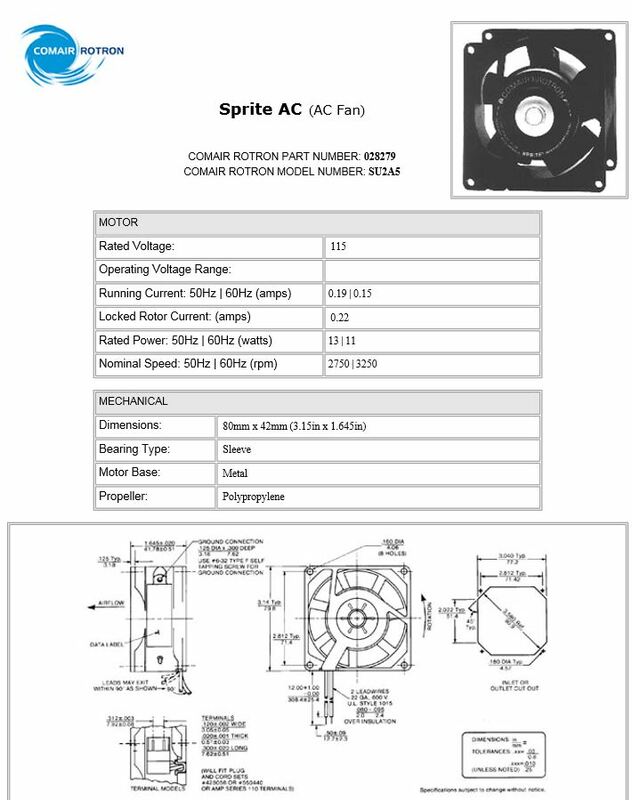 Otherwise, all is good with this unit, almost no dust inside – I believe this instrument had very low hours, or has been used in a very clean environment (not even a trace of dust on the fan). 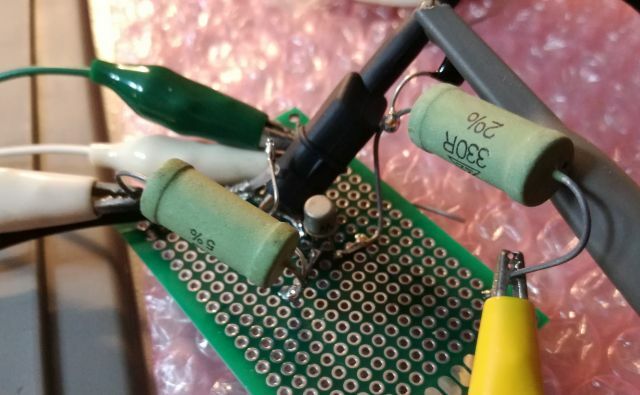 After a short xmas vacation, several spare parts arrived, including, 10 amp solder-in fuses, and thermal glue (704 silicon glue). 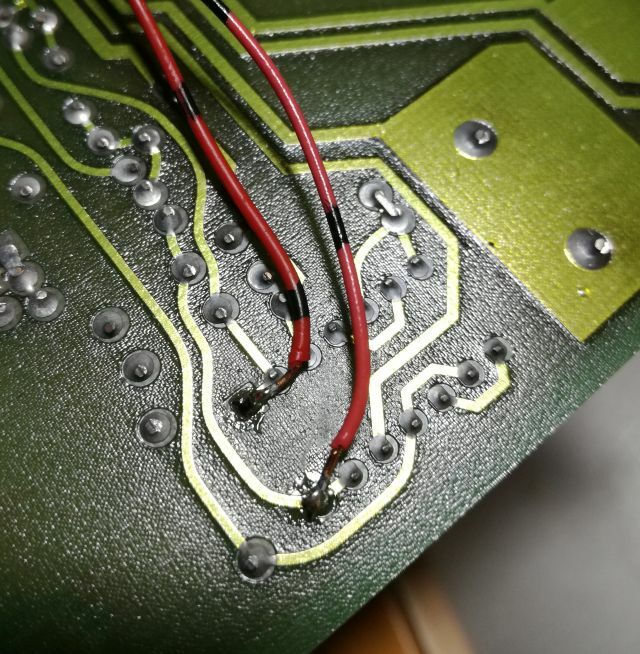 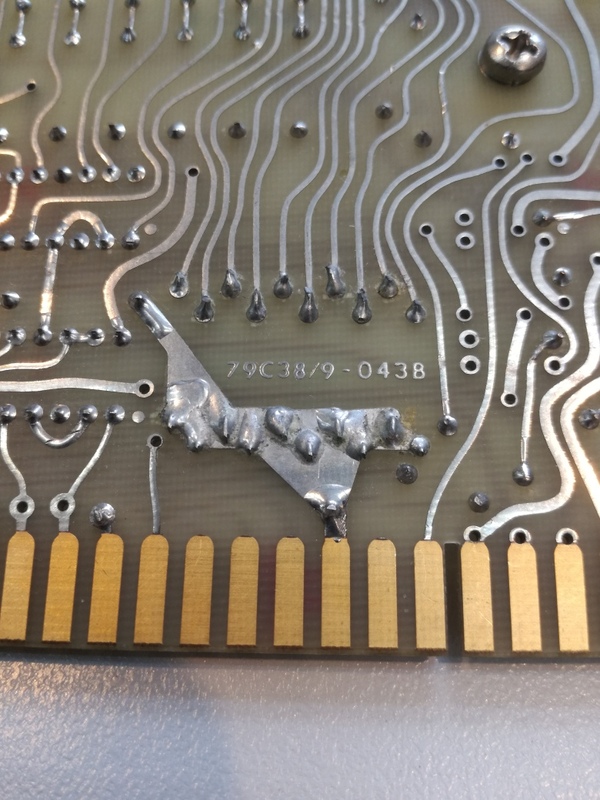 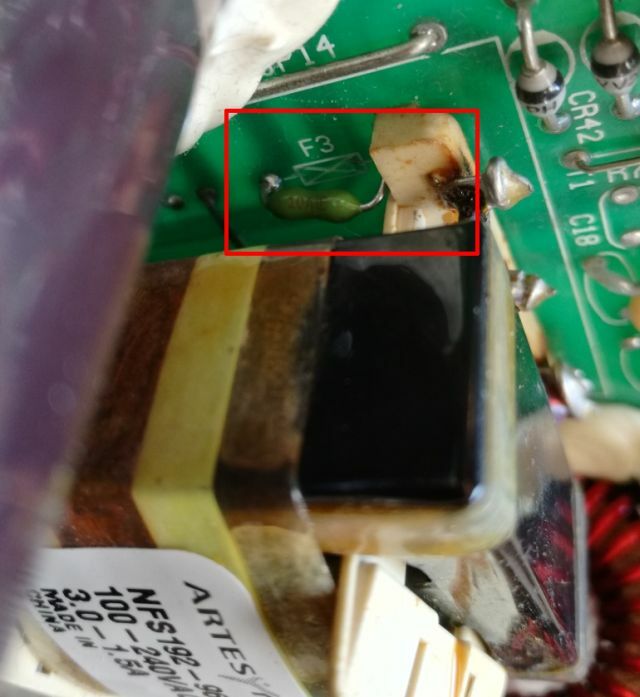 The glue is needed to mount the defective/blown thermal fuse to the power resistor. 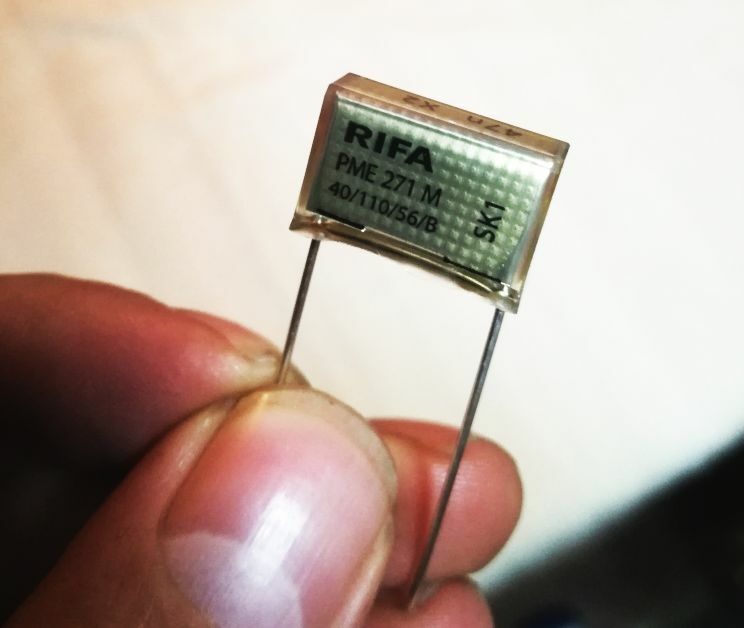 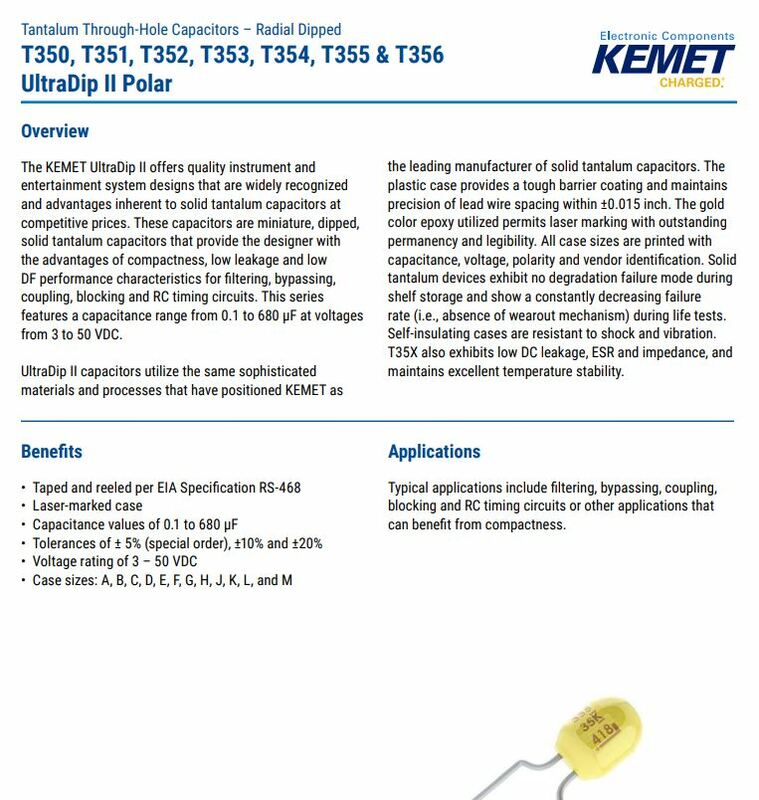 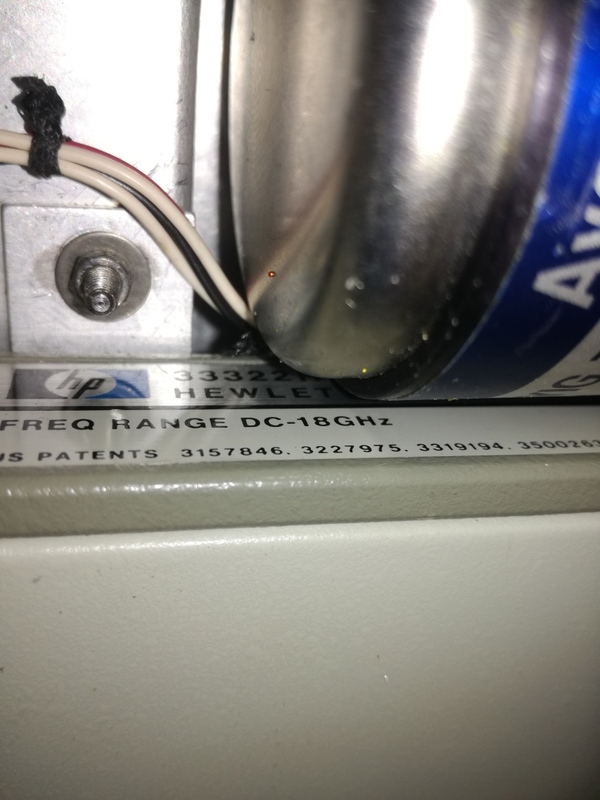 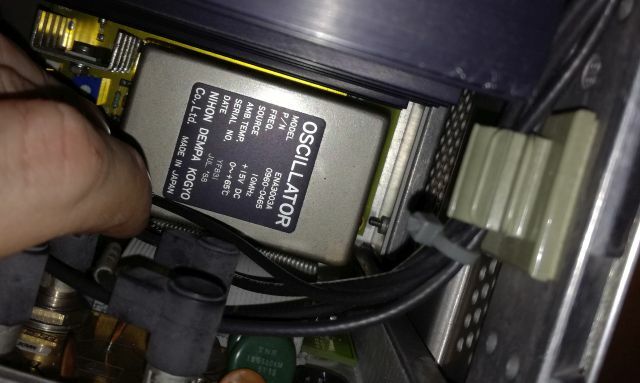 This resistor usually stays cool but will heat up in case of a power supply failure. 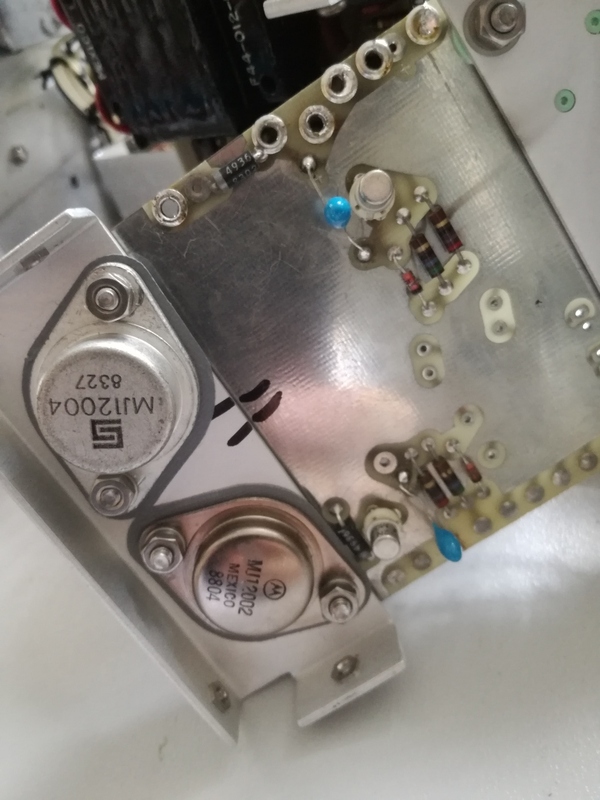 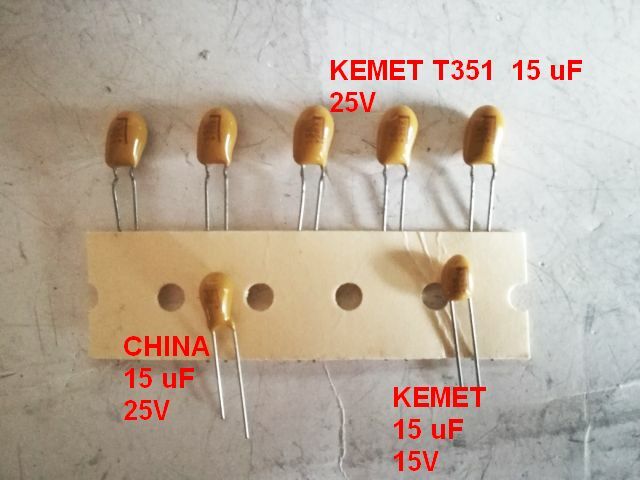 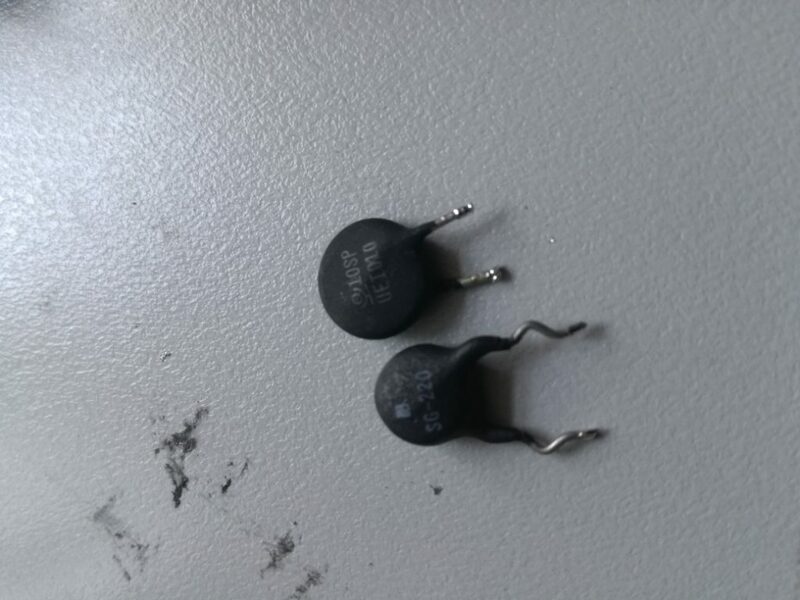 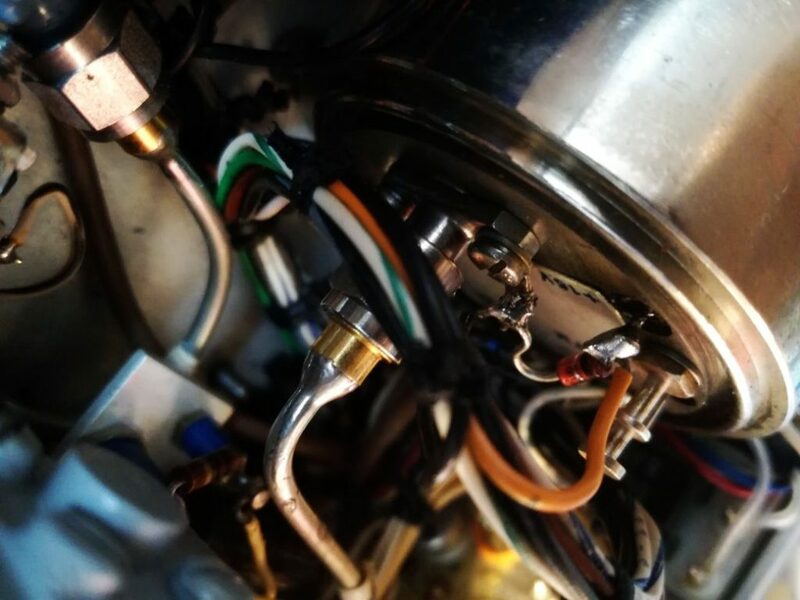 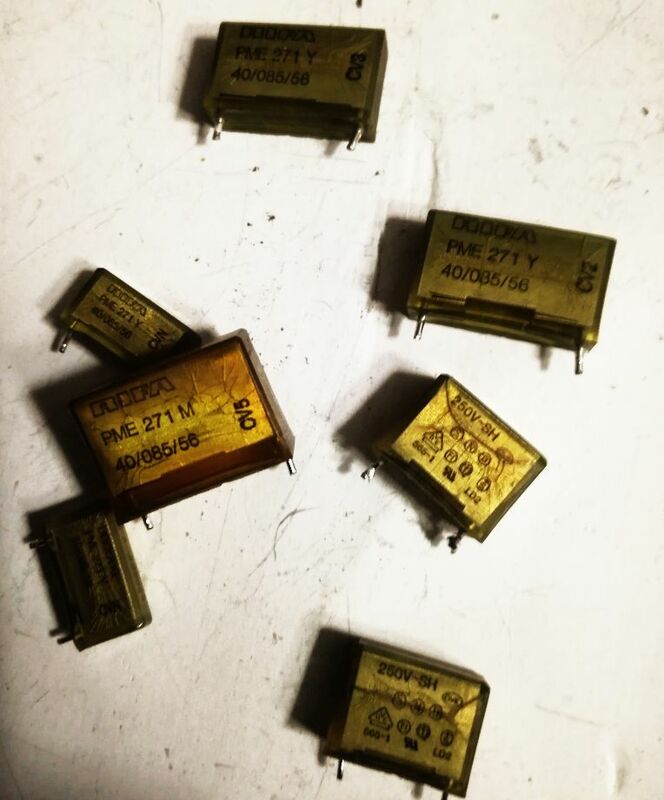 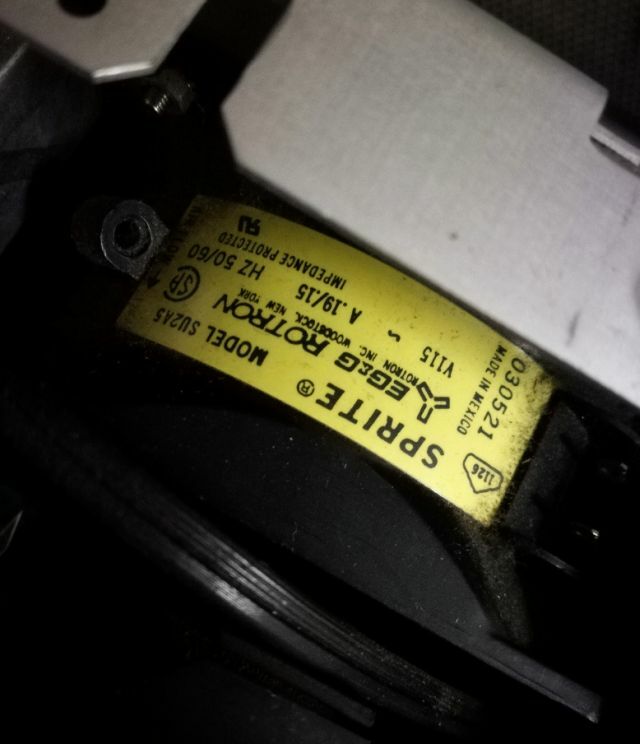 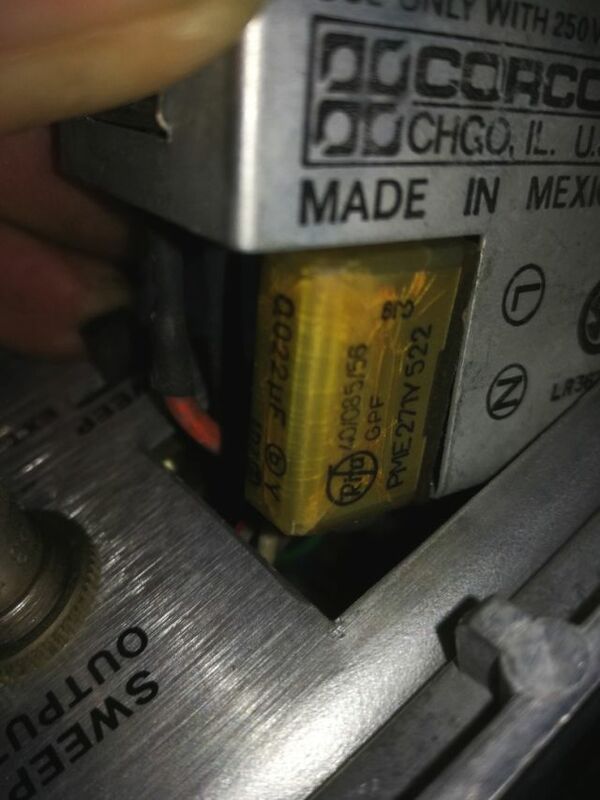 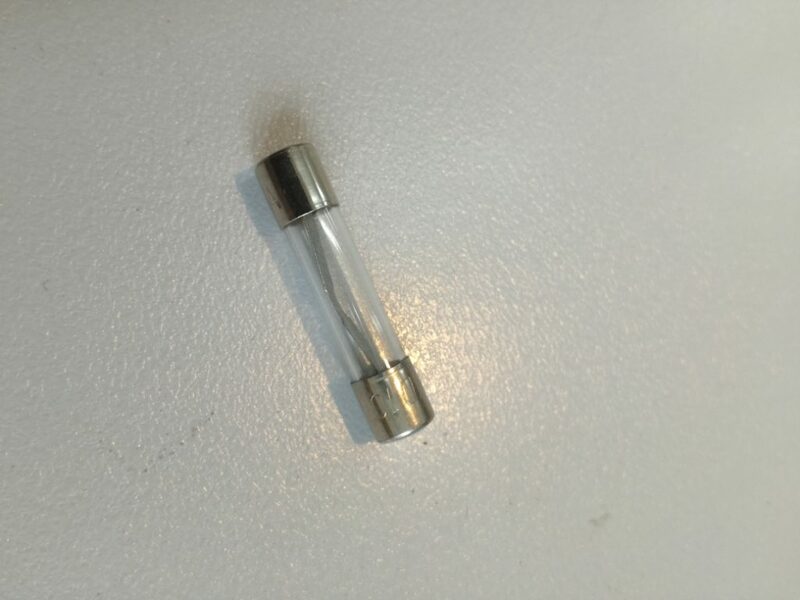 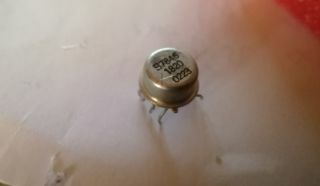 The fuse protects the primary of the switchmode transformer, it is a 10 Amp fuse, and it took a while to find it – it is located in a hidden place underneath the transformer. 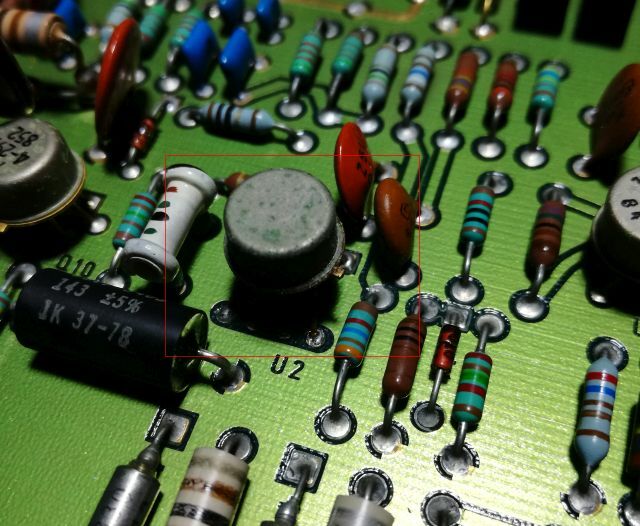 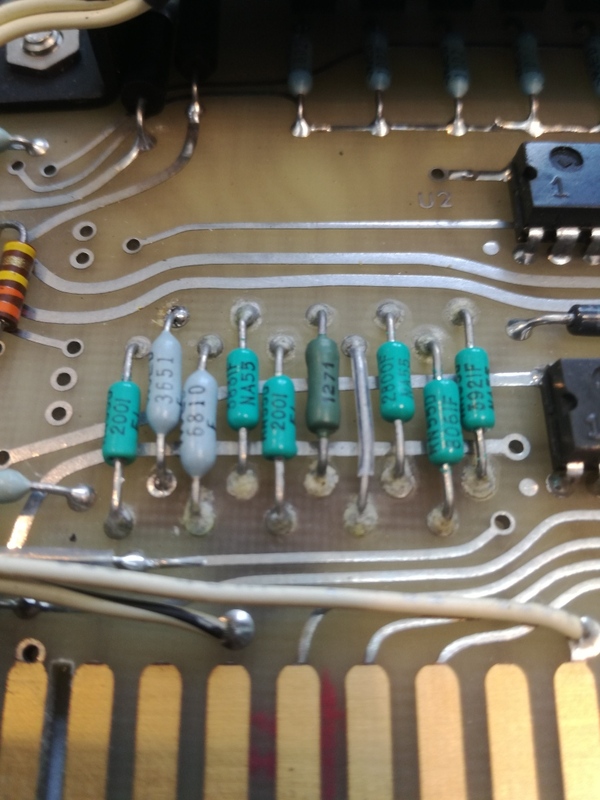 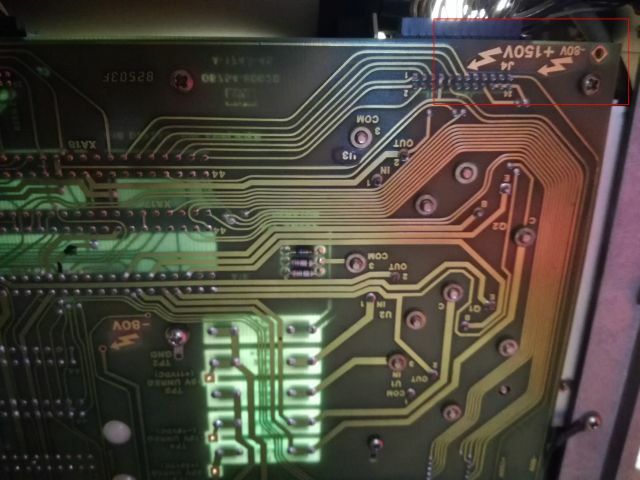 Now, with the fuse installed, the thermal fuse glued to the resistor, and the two drive mostfets replaced, the Artsyn 24 Volts supply is starting up just fine. 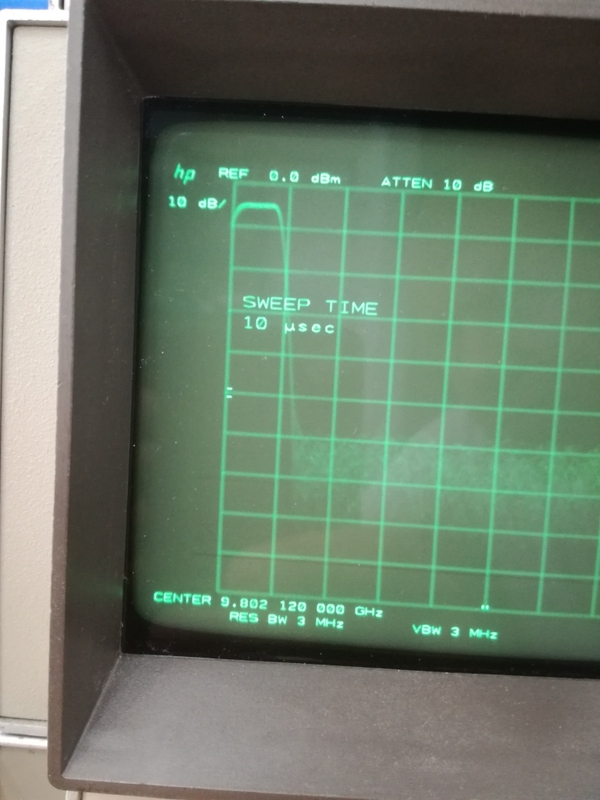 All self-tests passed! 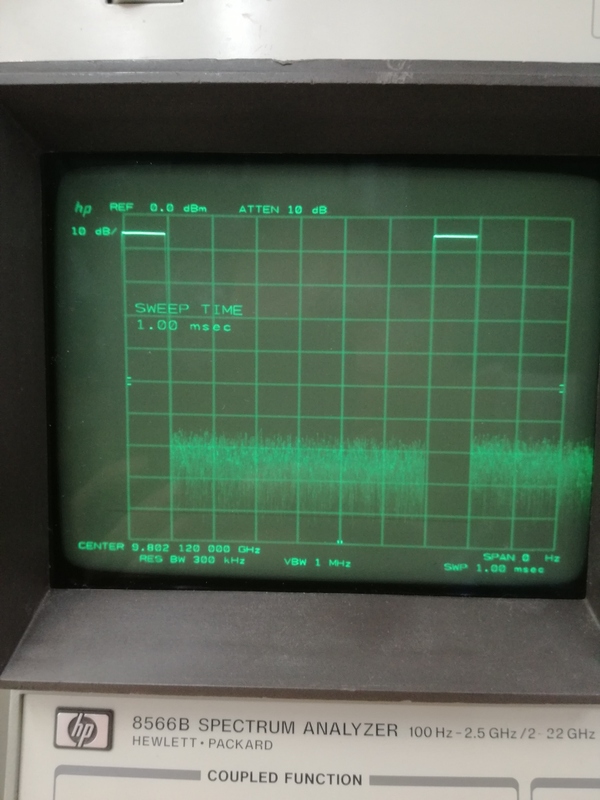 Next step, let’s update the firmware, and do some tests. 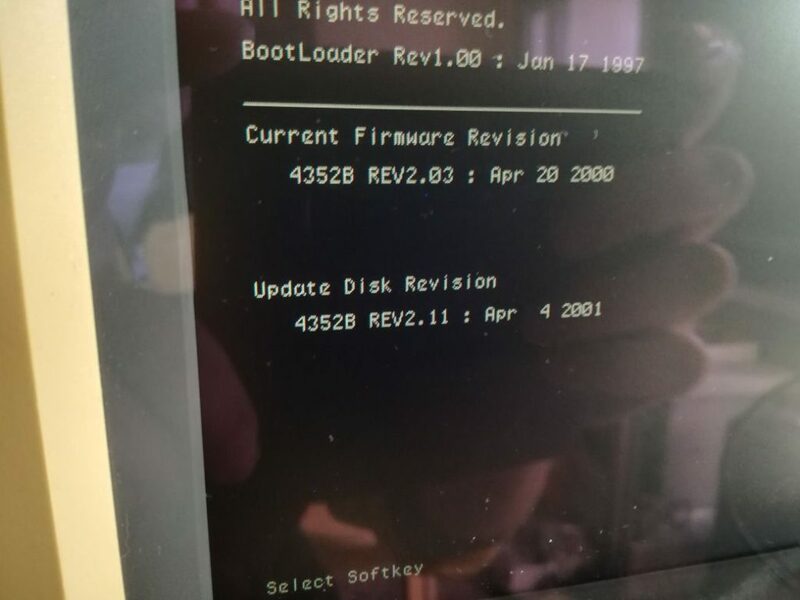 The firmware version 2.11 is the latest one available, but it needs to be loaded from a 3.5 inch floppy – I have a USB floppy drive here, and one single disc which I purchased from Sri Lanka. 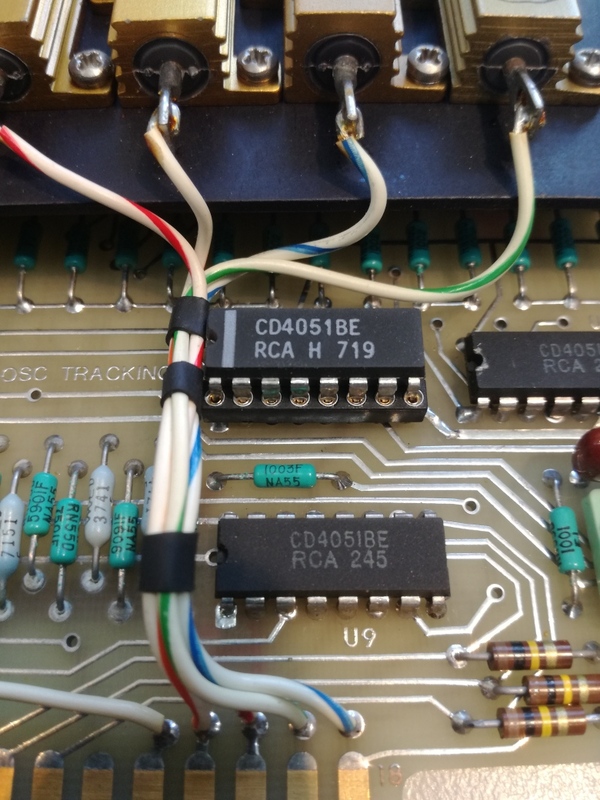 Took a few attempts to convince the 4352B to read the disc and load the firmware. 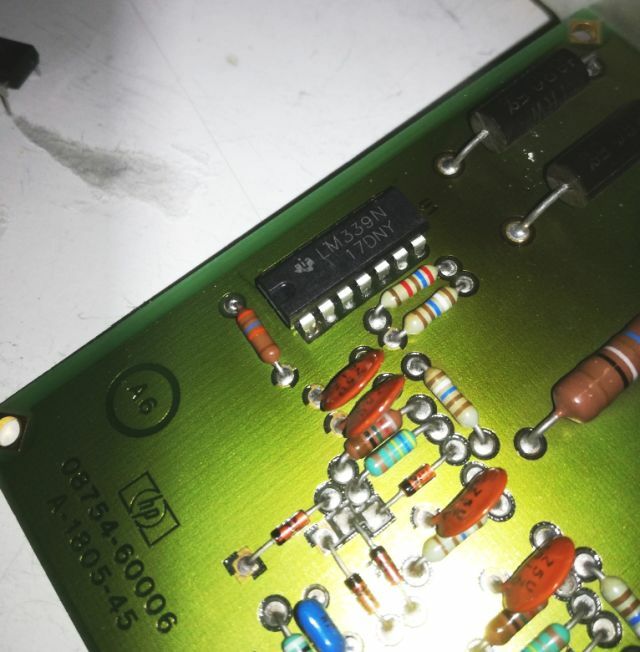 But finally, success! 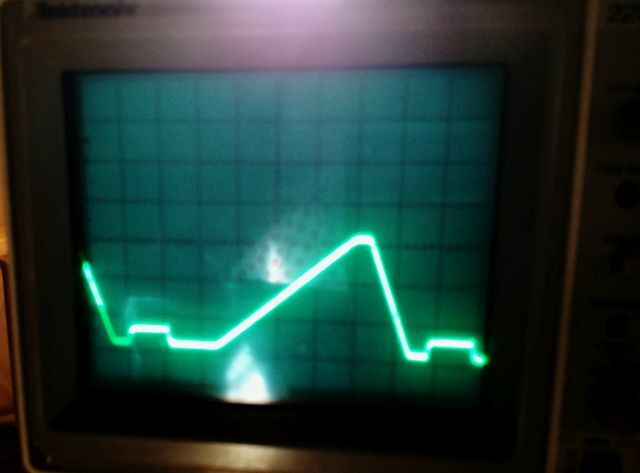 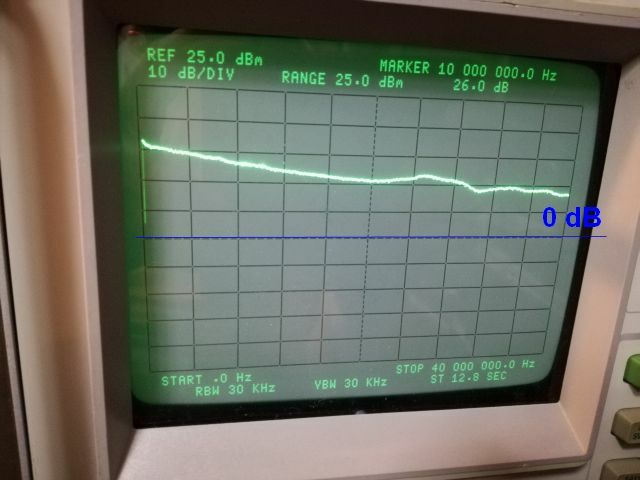 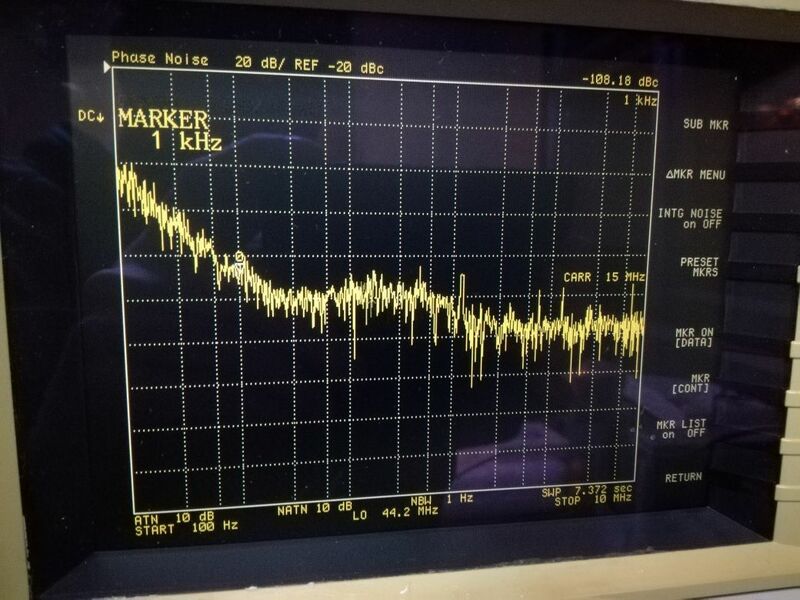 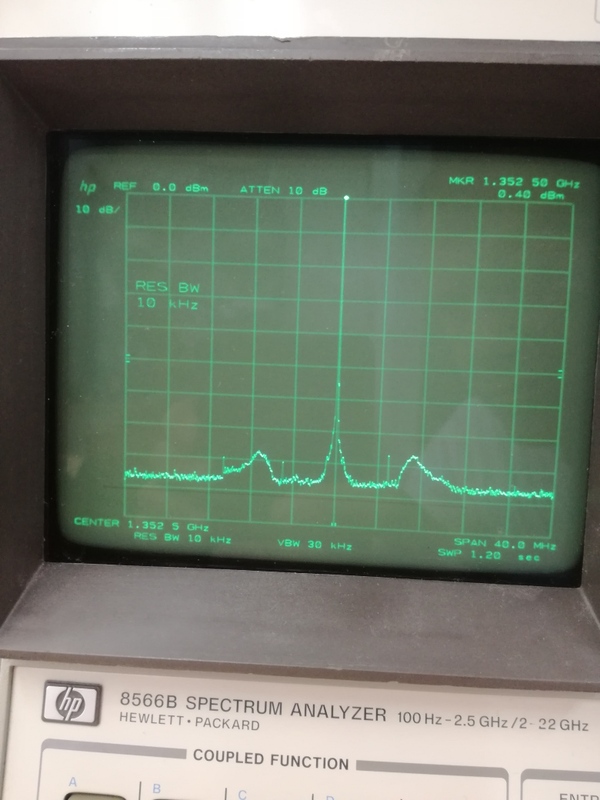 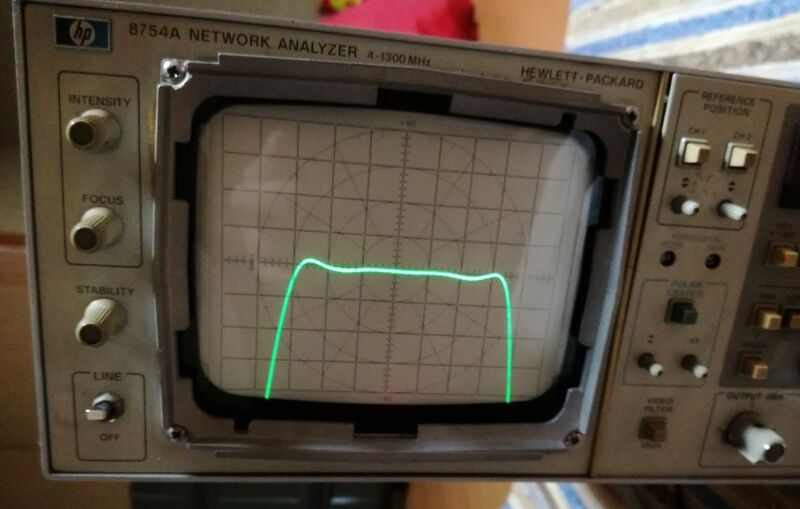 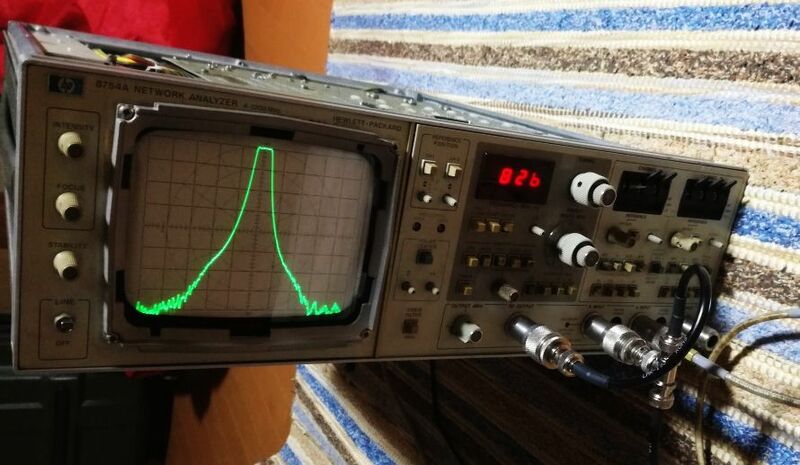 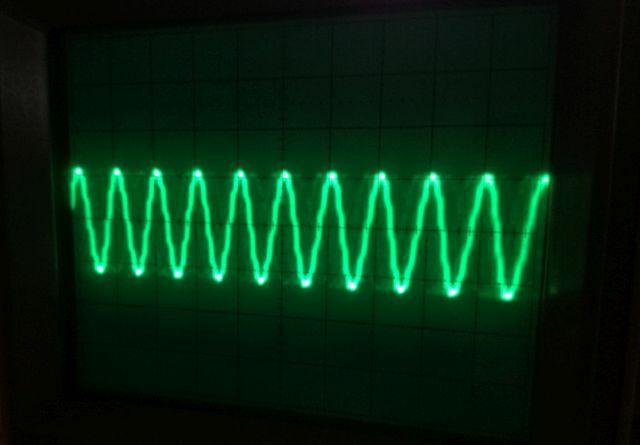 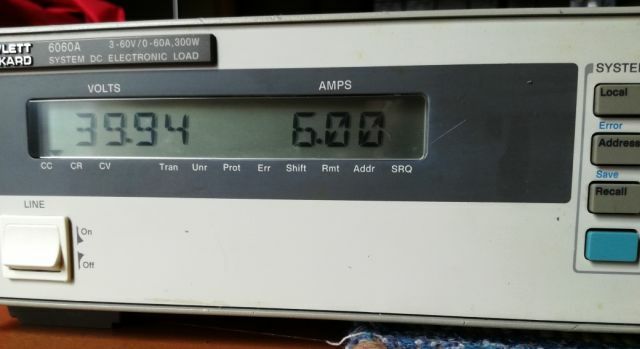 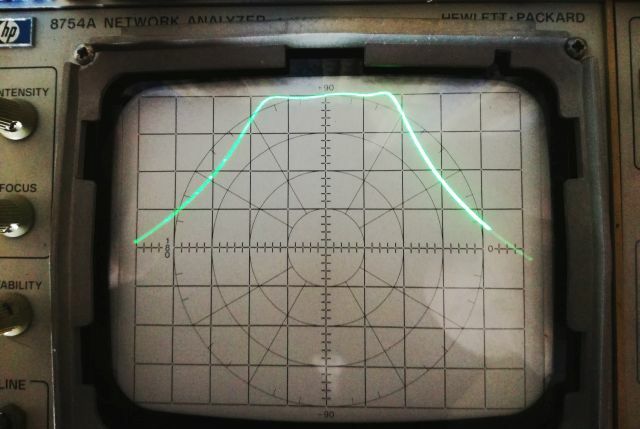 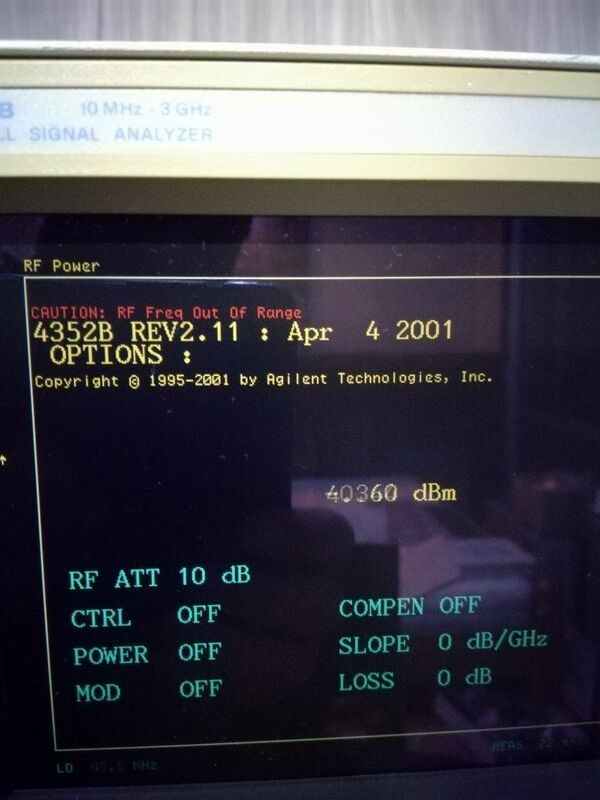 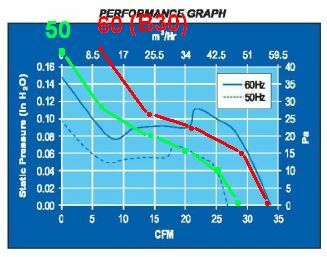 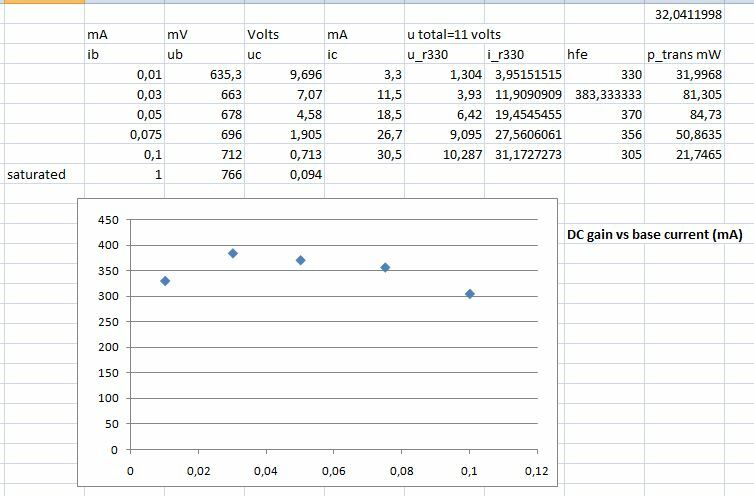 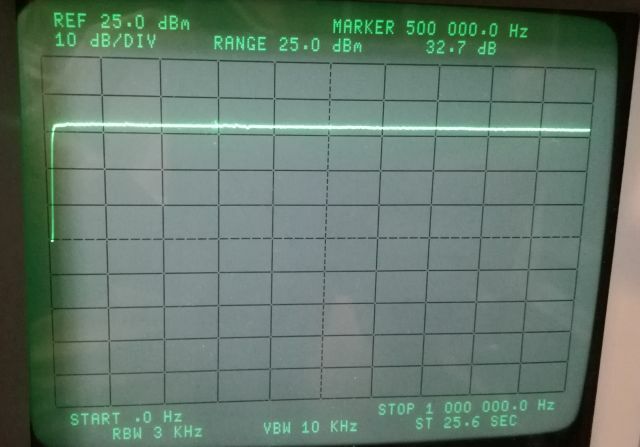 Many tests could be done, here just a simple test with a 15 MHz signal from a 3585A vs. a 8642B generator. 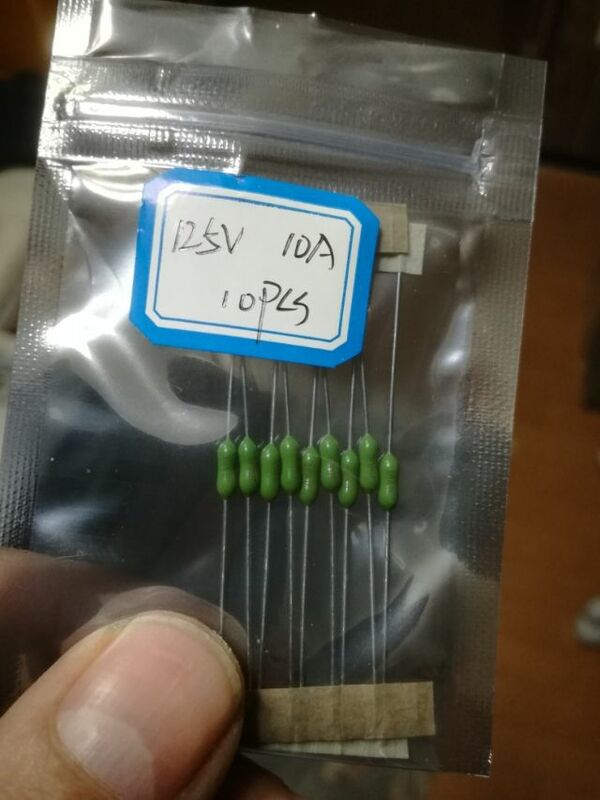 Seems to work well, and easy to use. 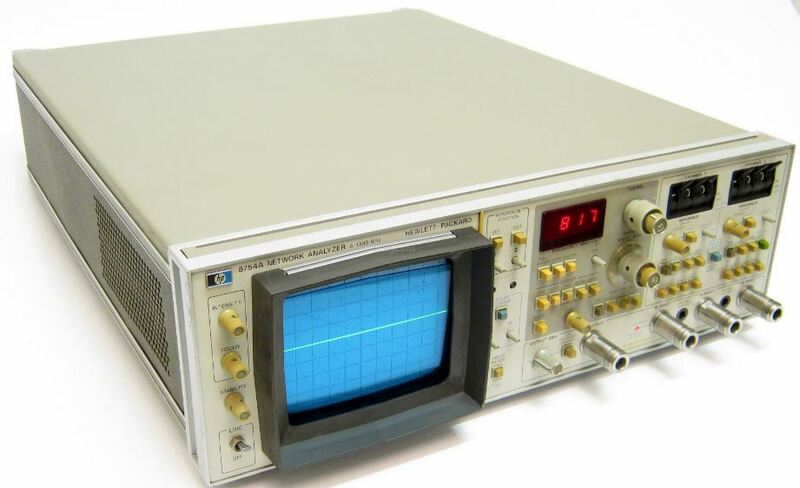 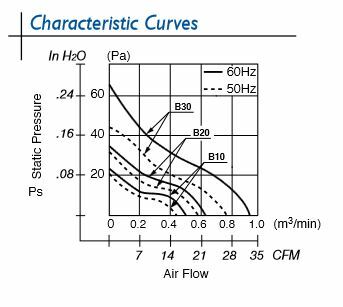 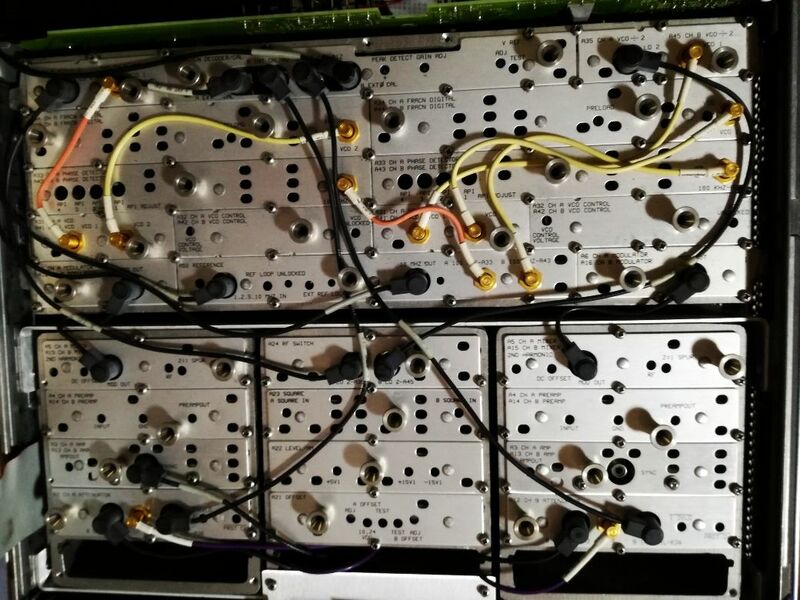 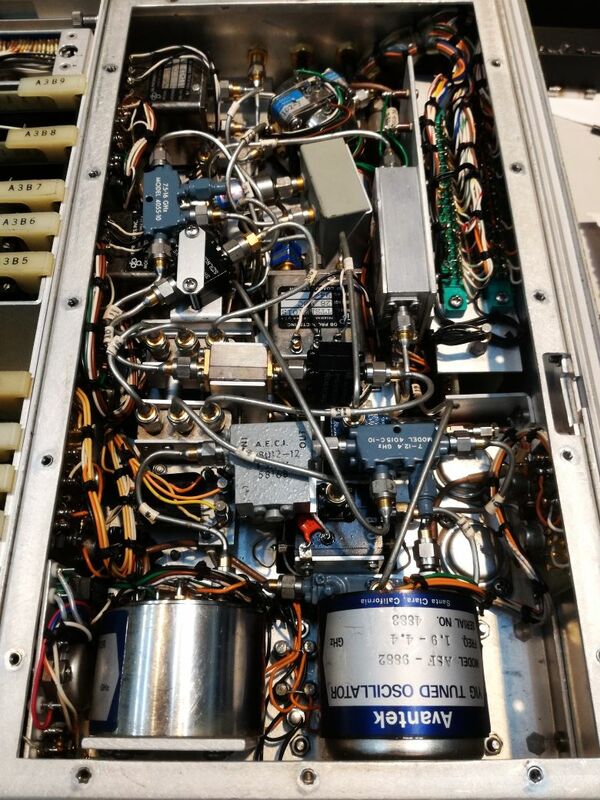 Now we can close the case, and use the device for VCO characterization, phase noise measurement, etc.